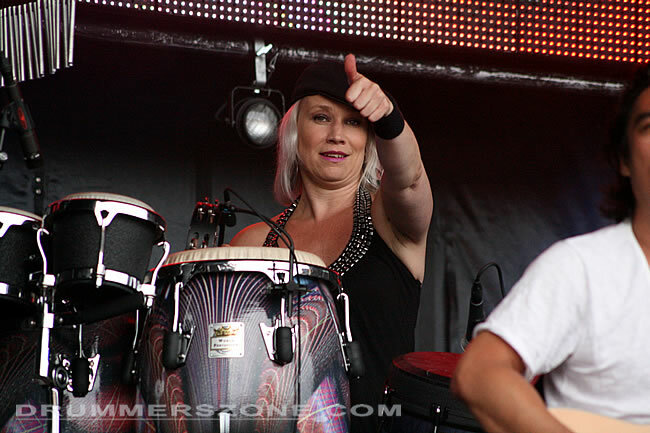 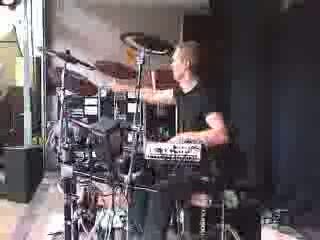 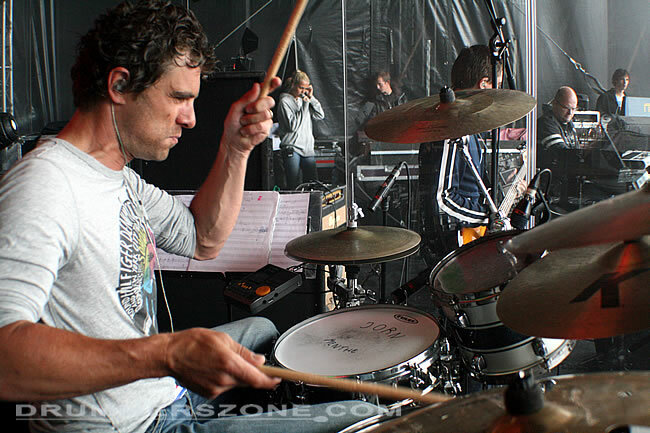 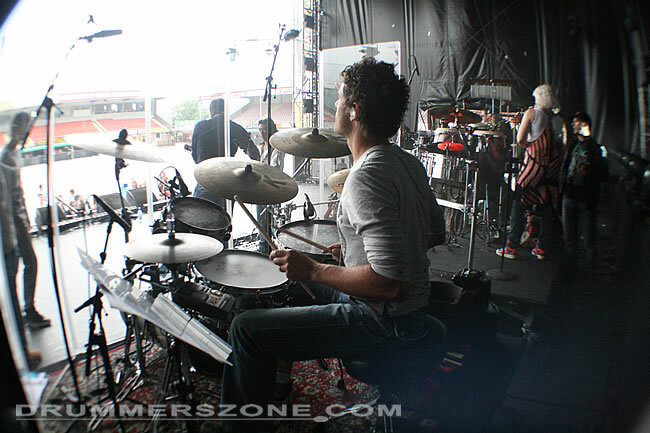 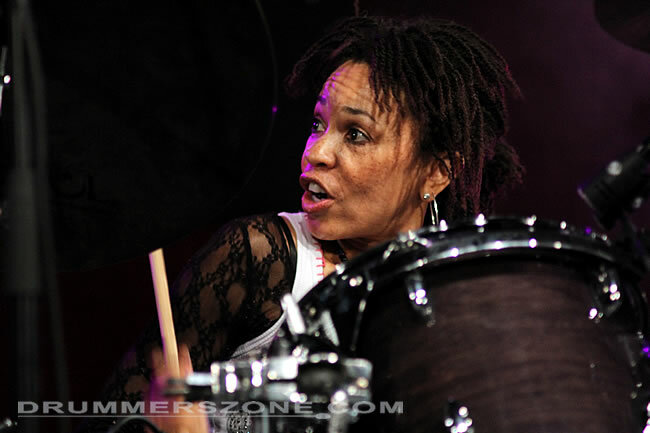 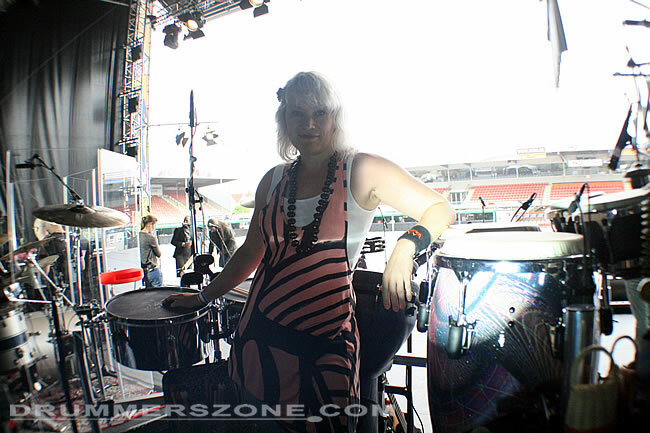 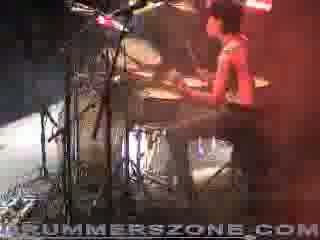 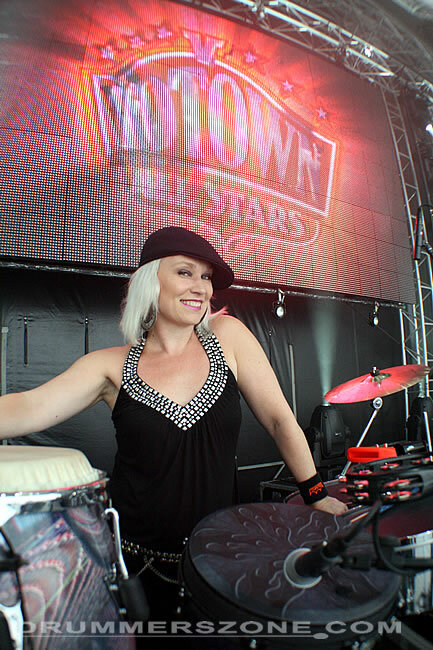 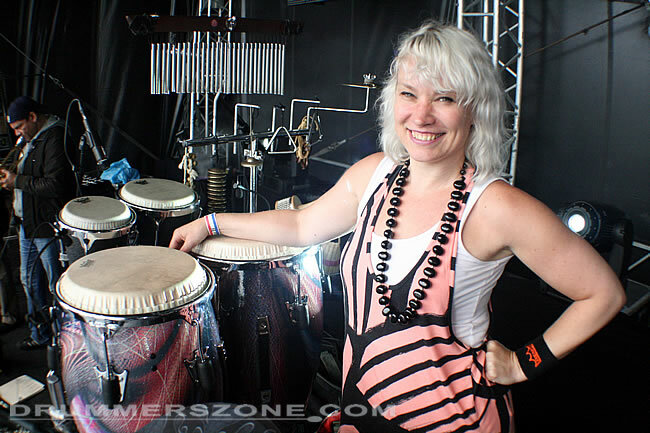 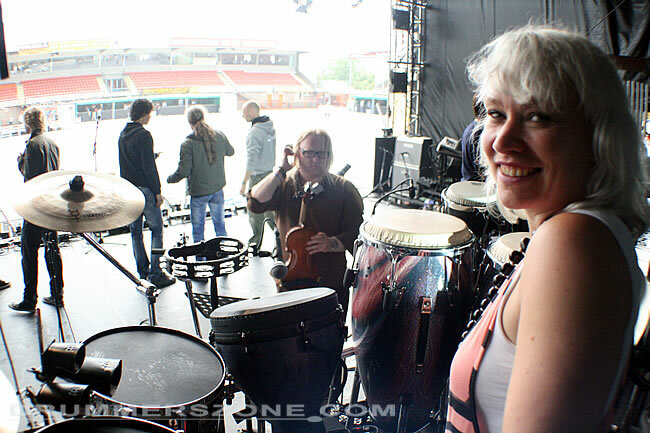 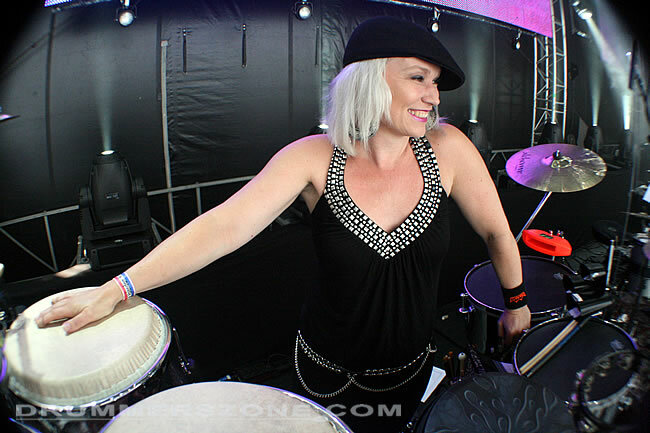 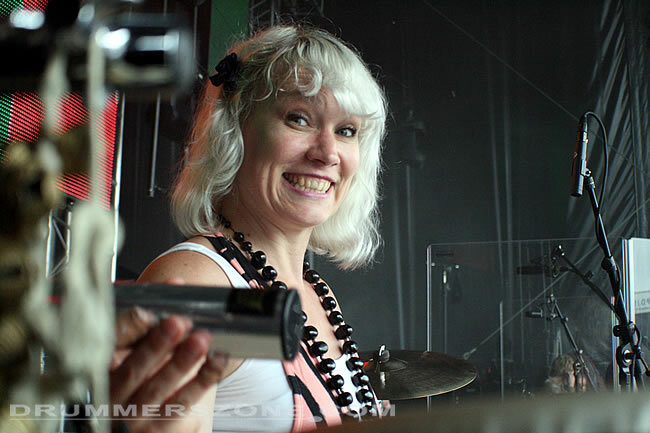 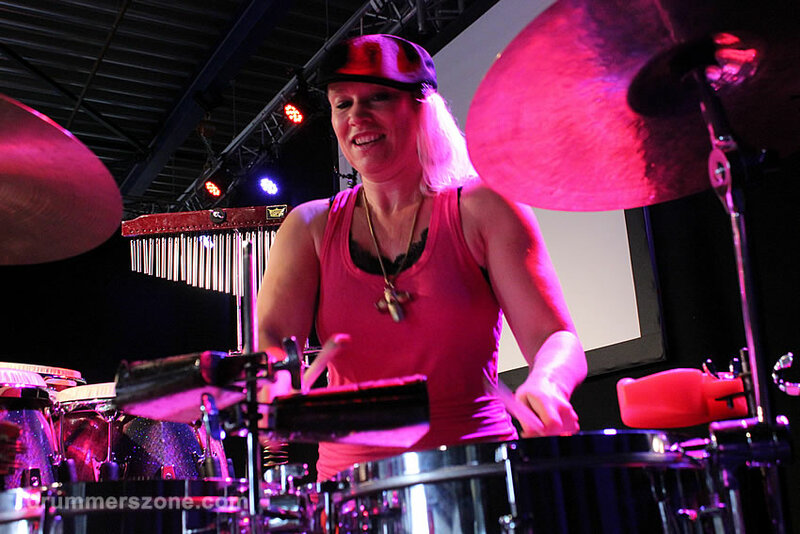 Drummerszone.com followed Femke Krone during the one day festival Votown All Stars in Volendam, The Netherlands. 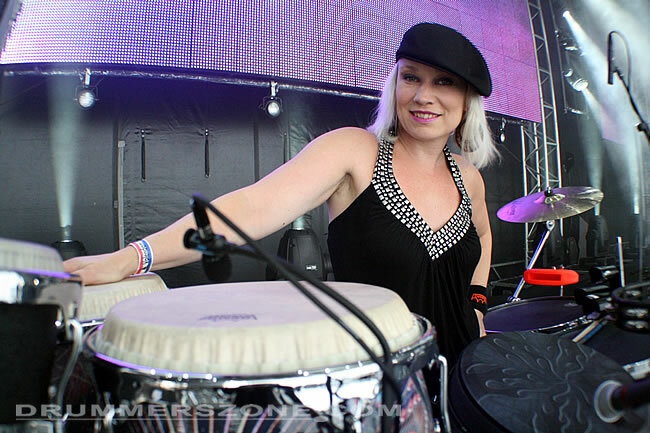 We talked with her when she wasn't on stage with Nick & Simon, Monique Smit and Jan Smit. 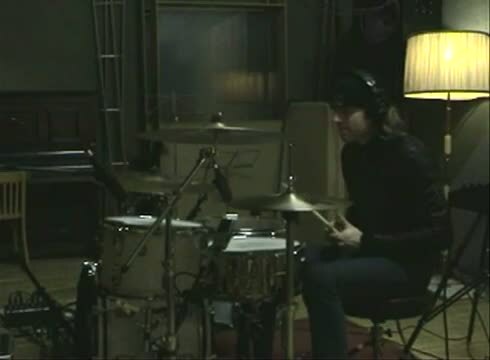 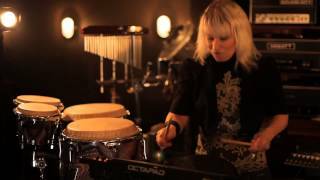 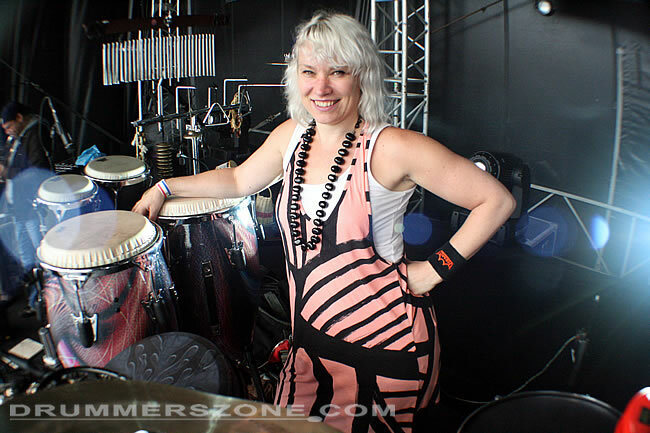 In the video's (in Dutch) Femke talks about her carreer, her Remo gear and her recording session with Mark Schulman in Los Angeles, California. 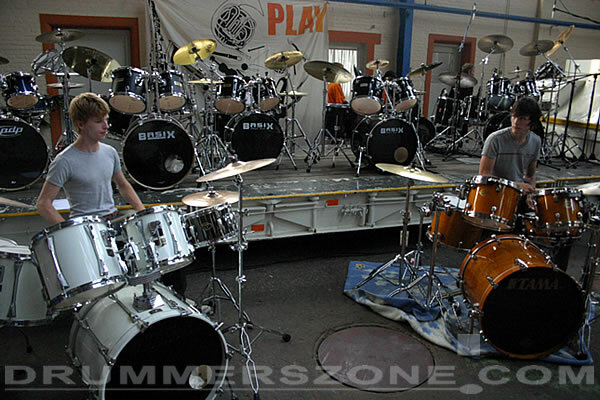 Drum & Percussion clinic with Mark Eshuis. 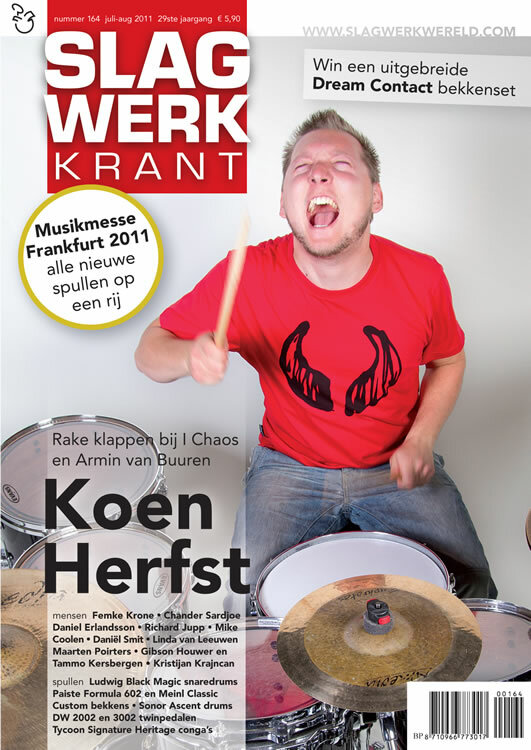 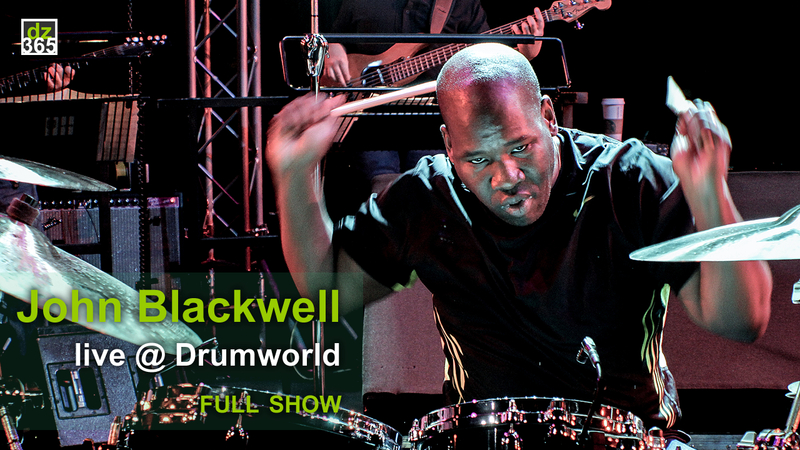 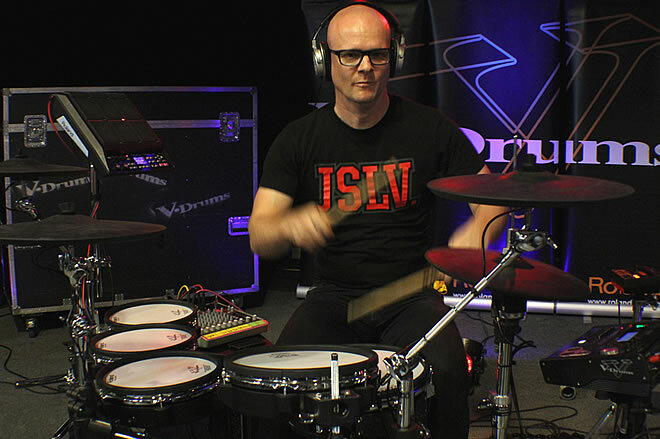 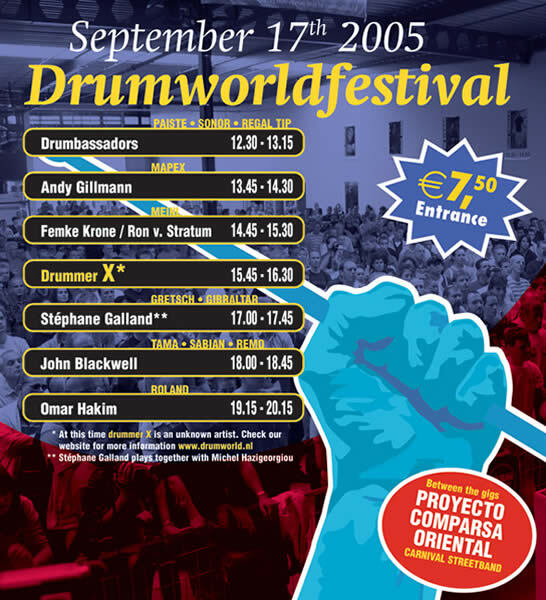 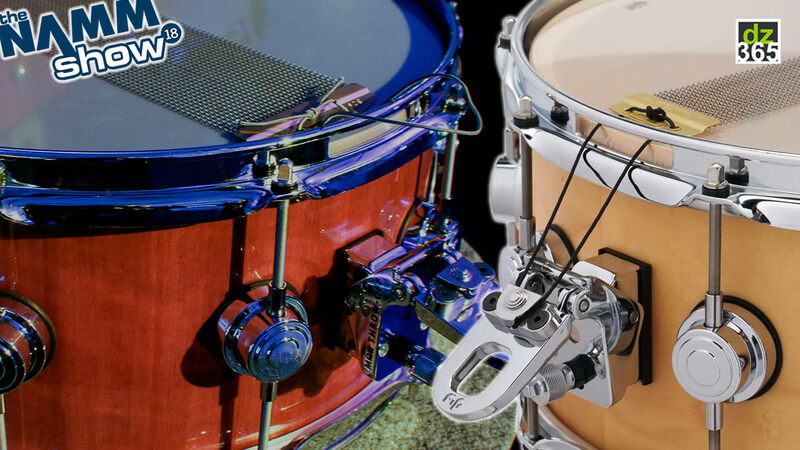 The Trommelrommeldag is a Drum day with clinics organized by Interdrum in Winterswijk, The Netherlands. 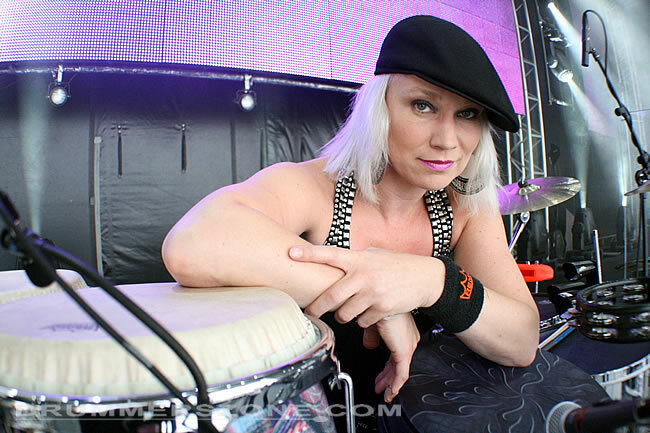 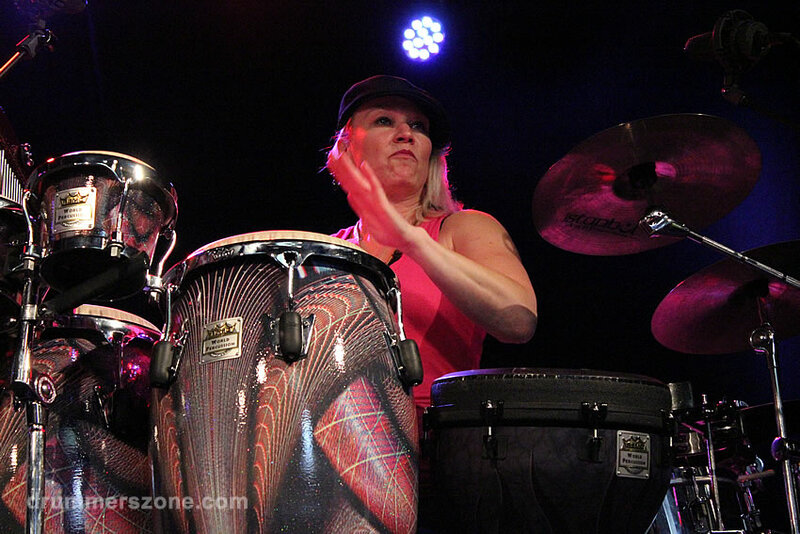 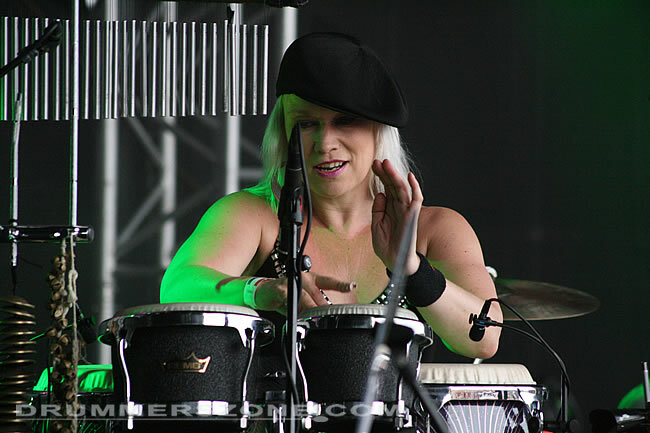 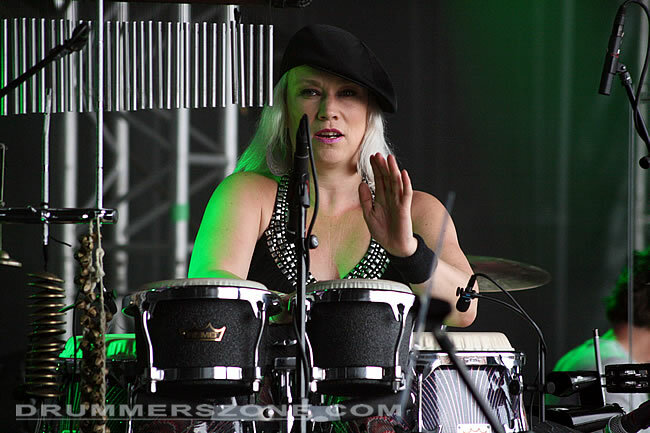 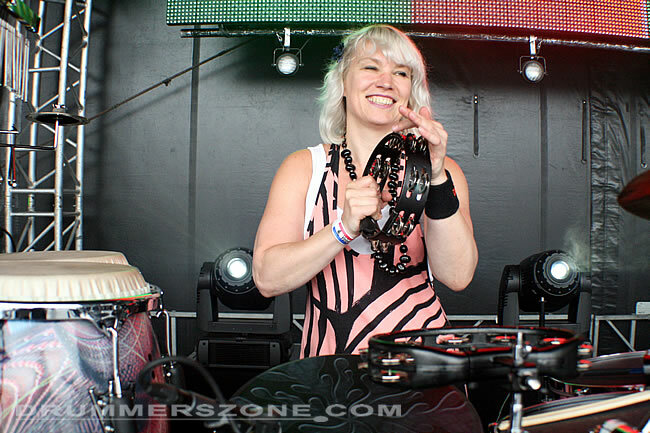 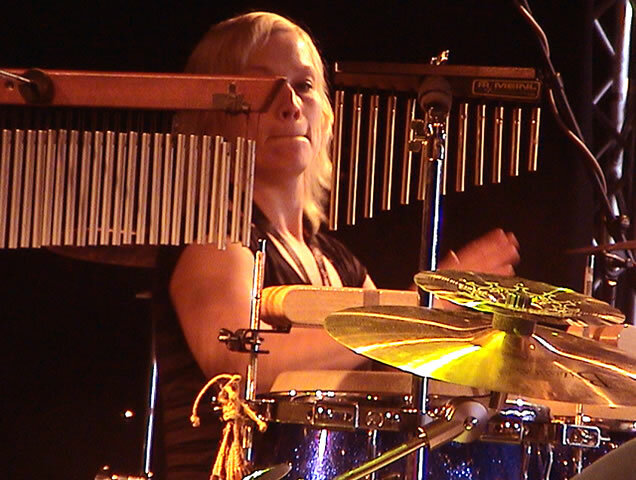 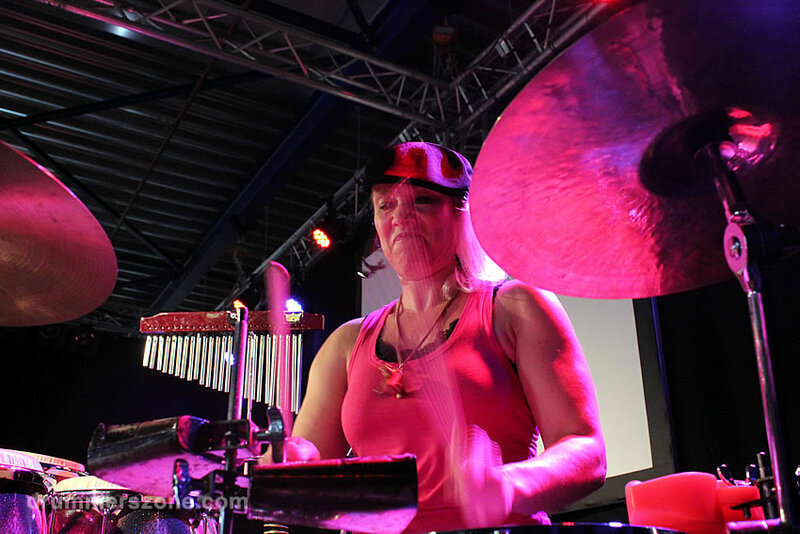 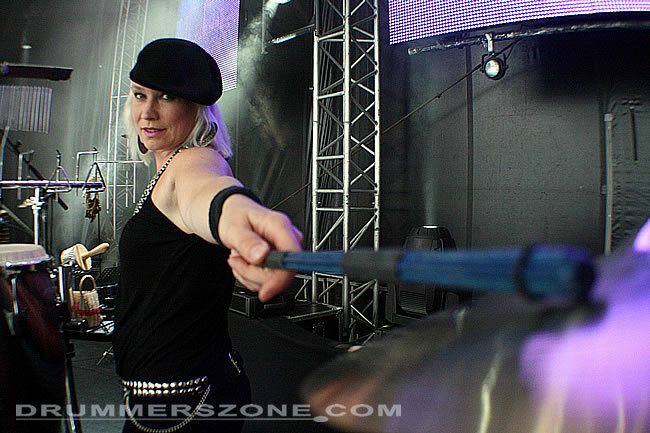 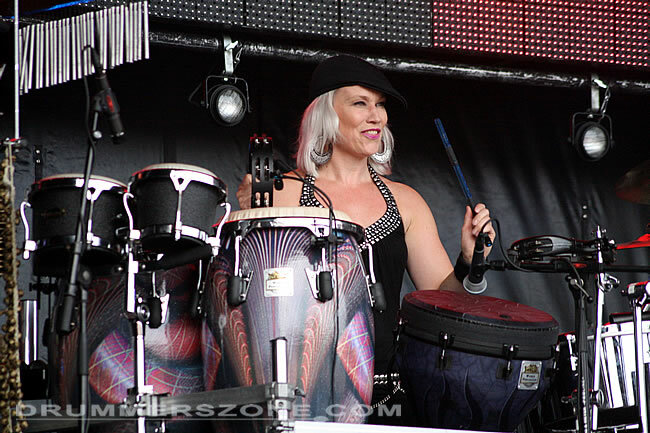 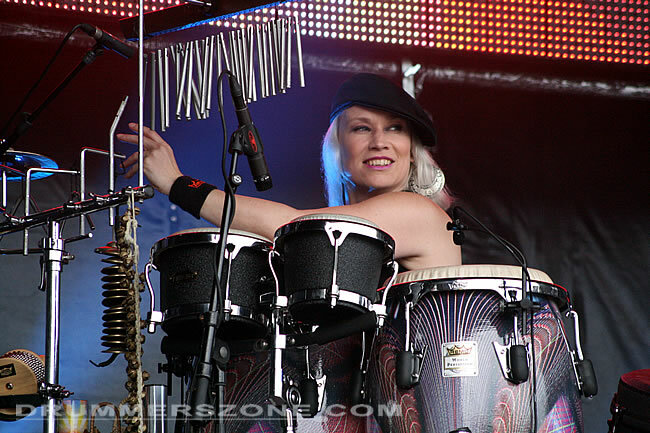 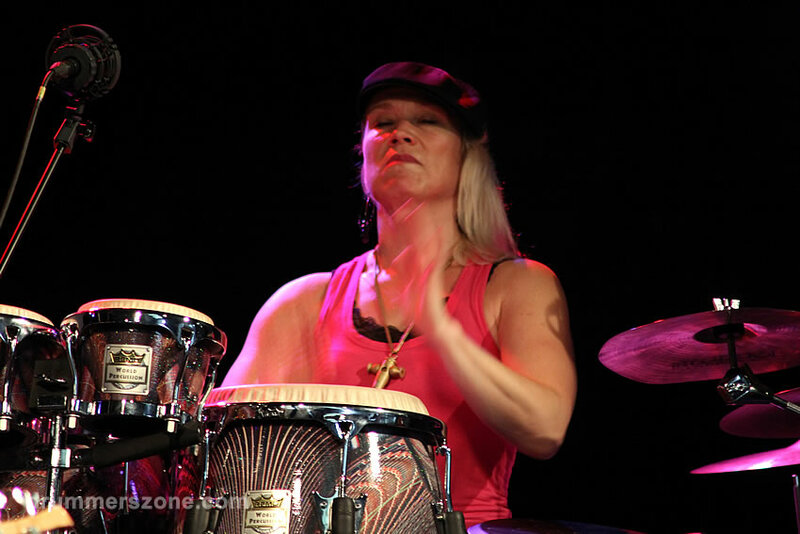 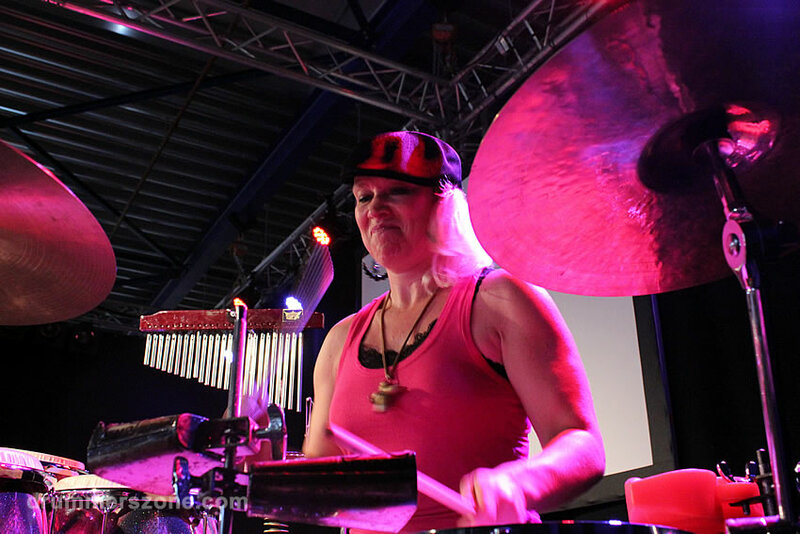 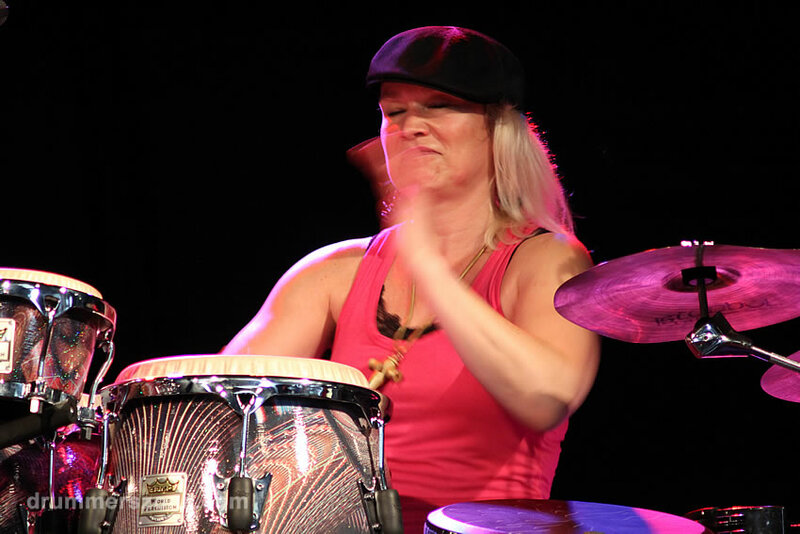 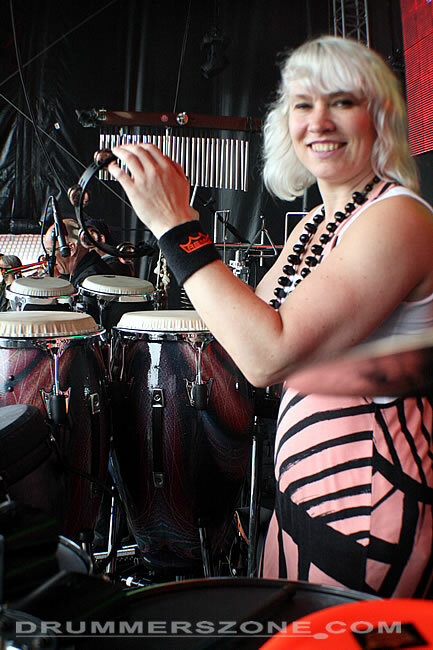 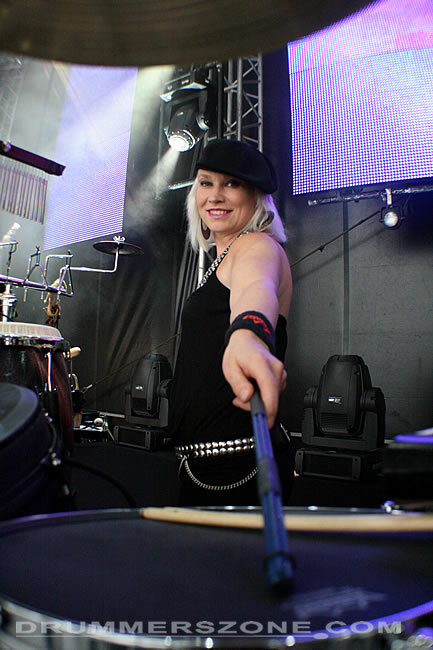 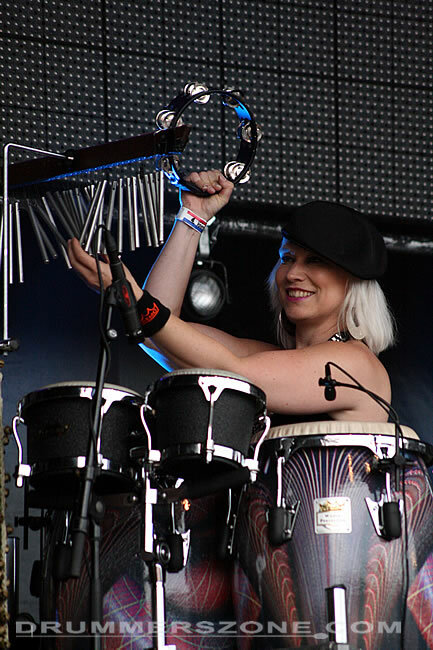 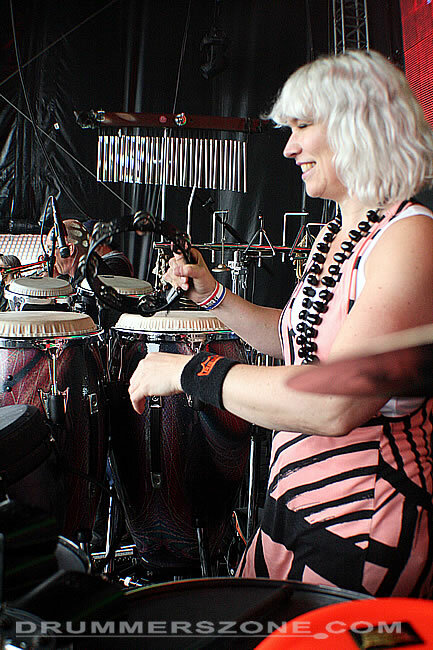 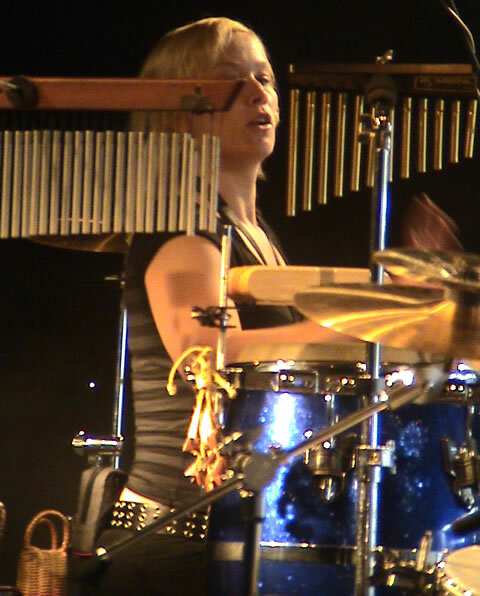 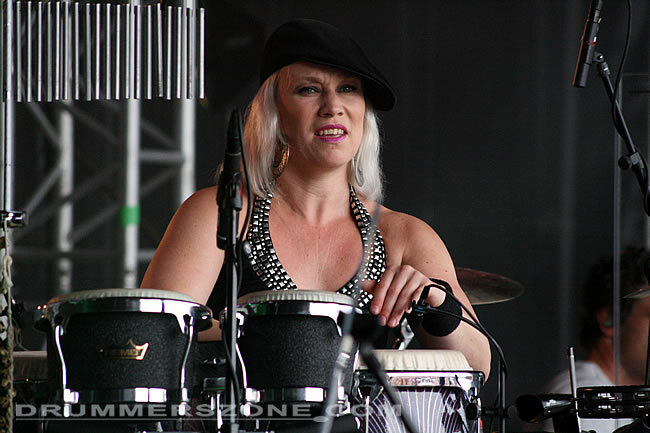 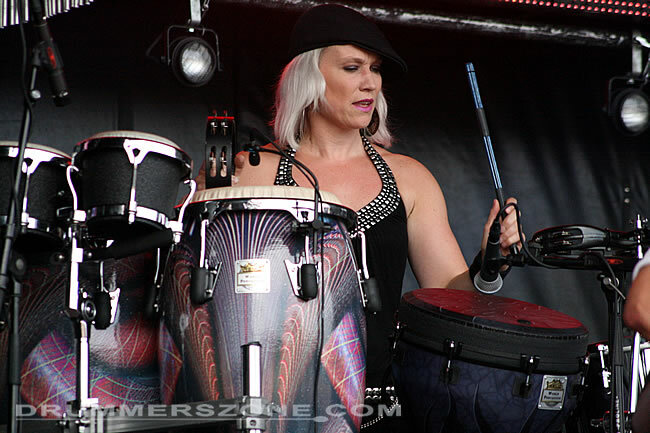 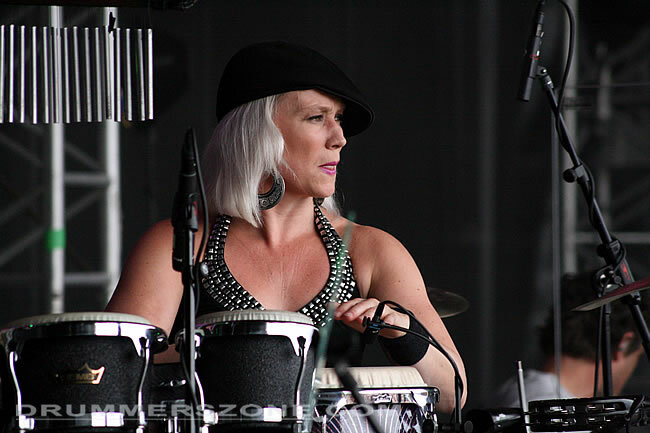 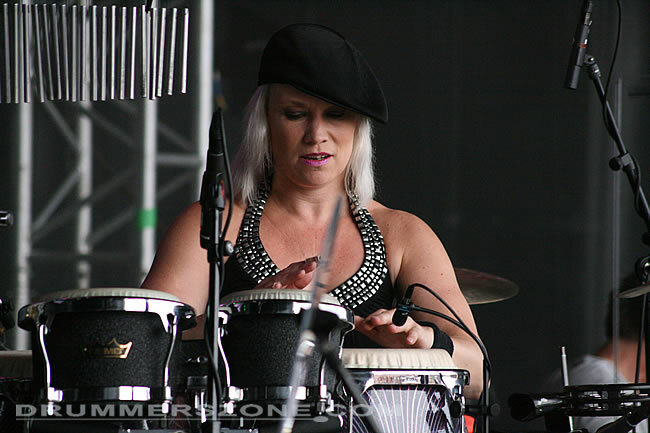 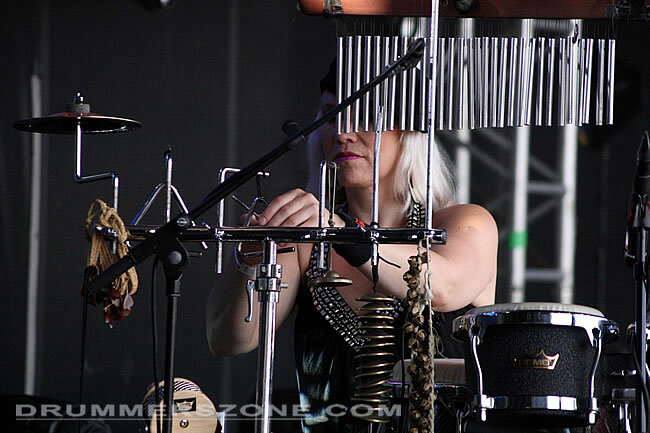 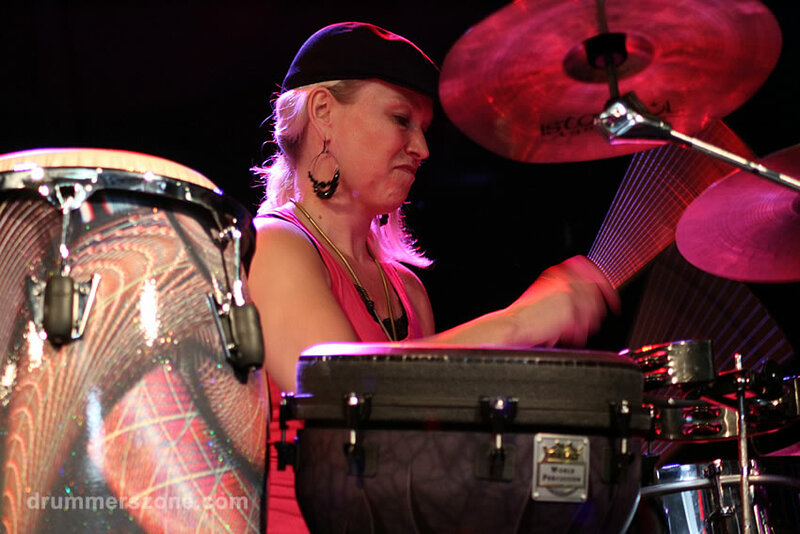 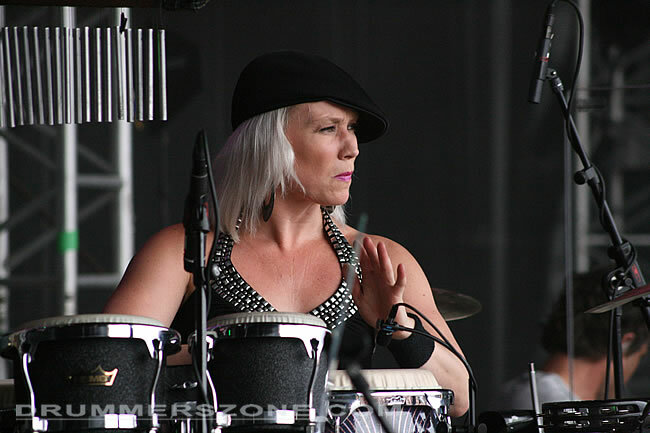 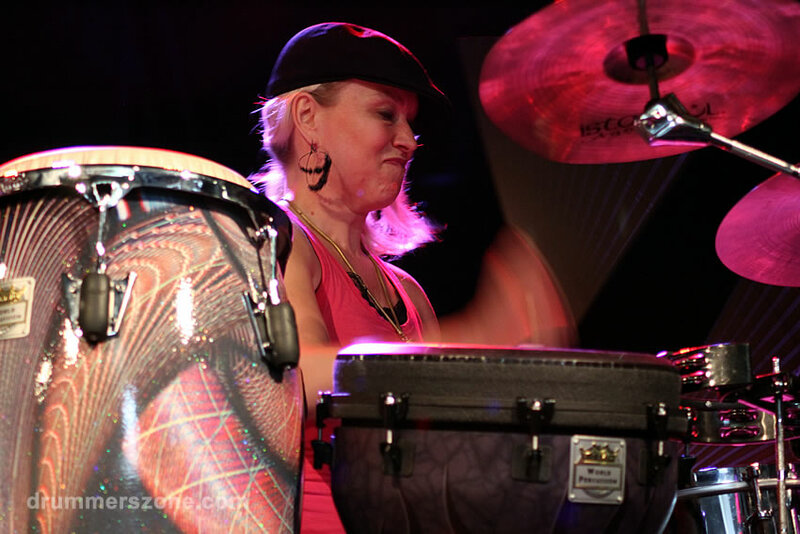 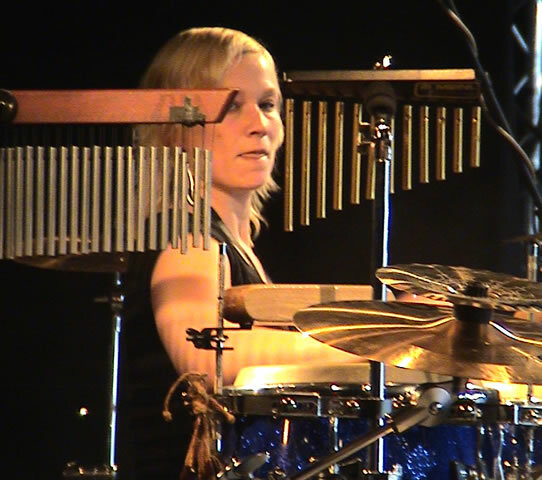 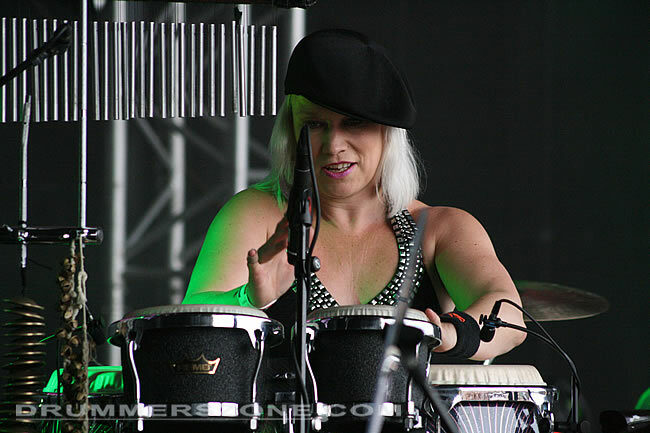 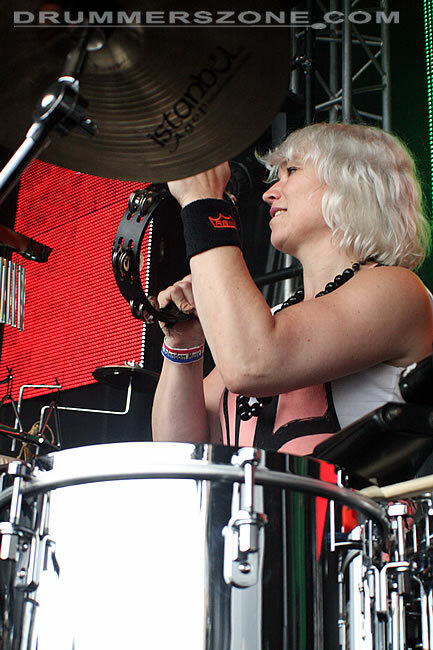 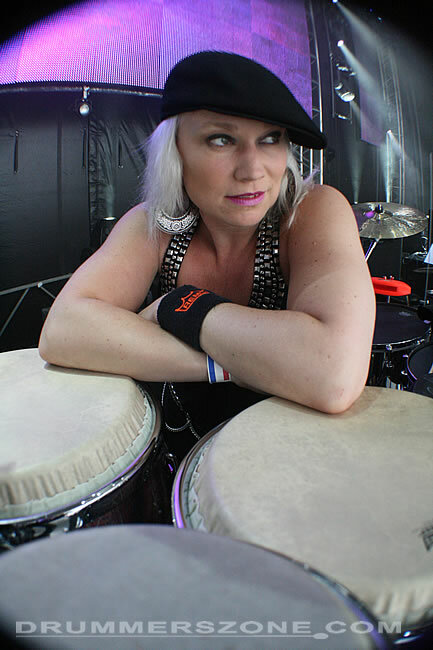 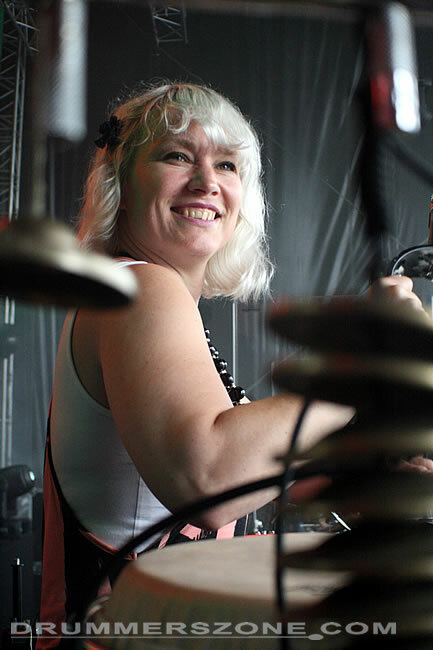 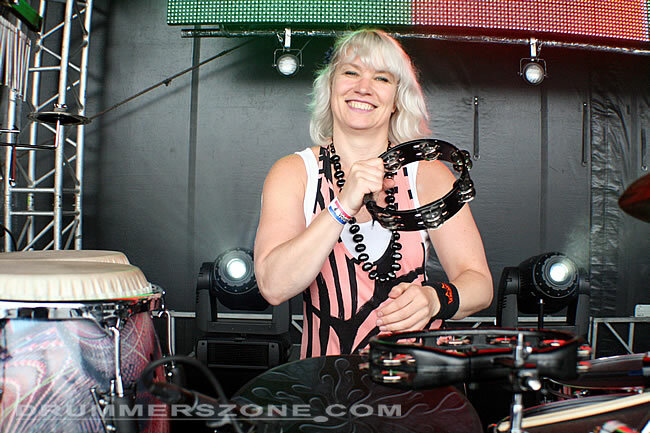 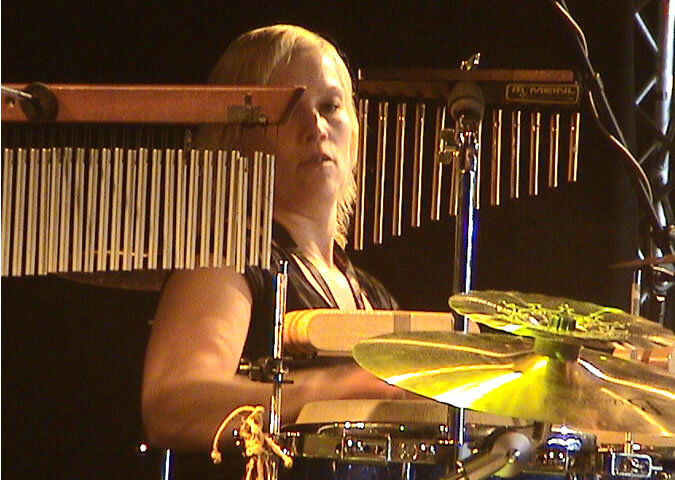 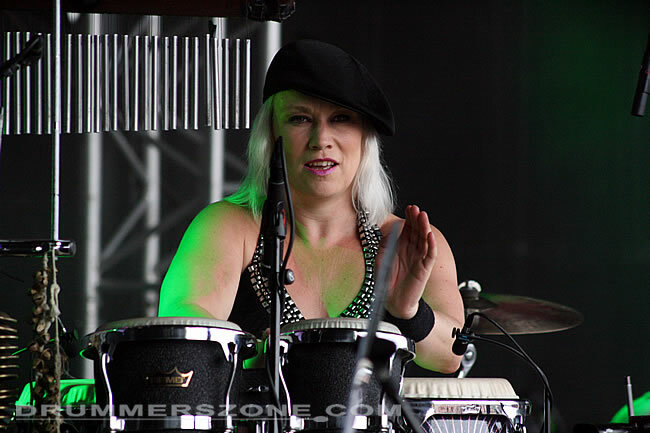 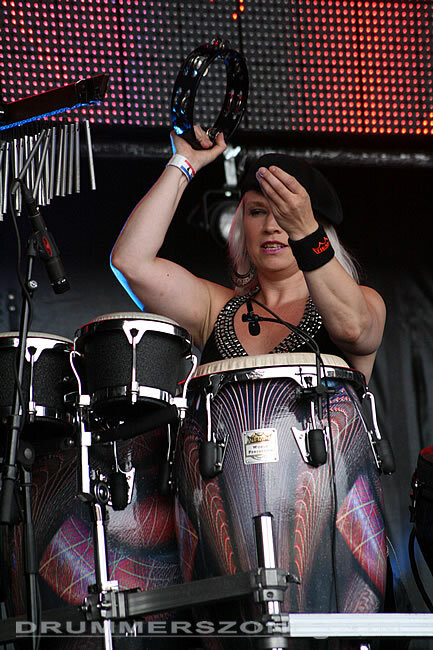 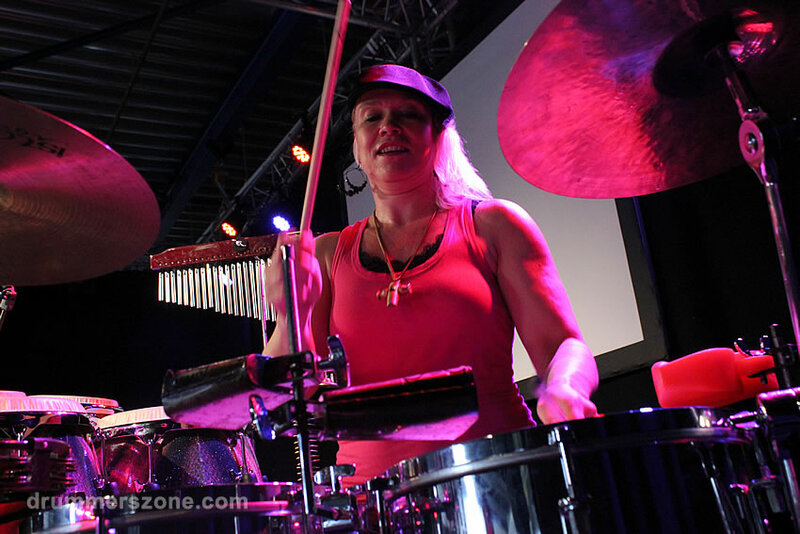 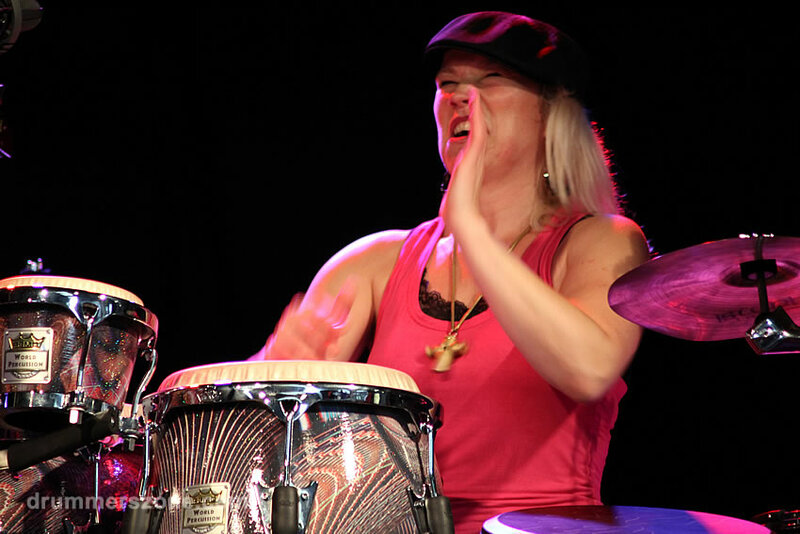 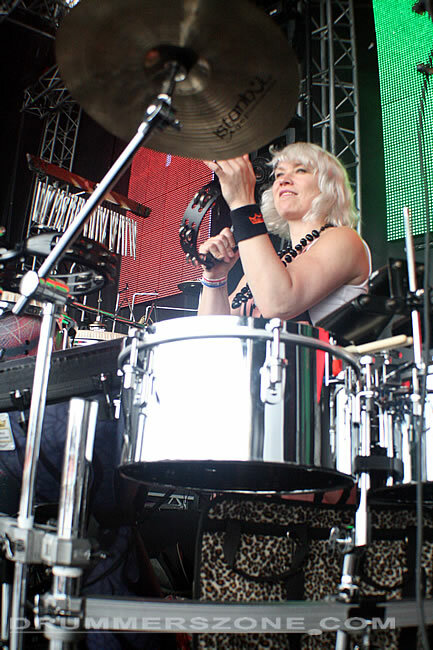 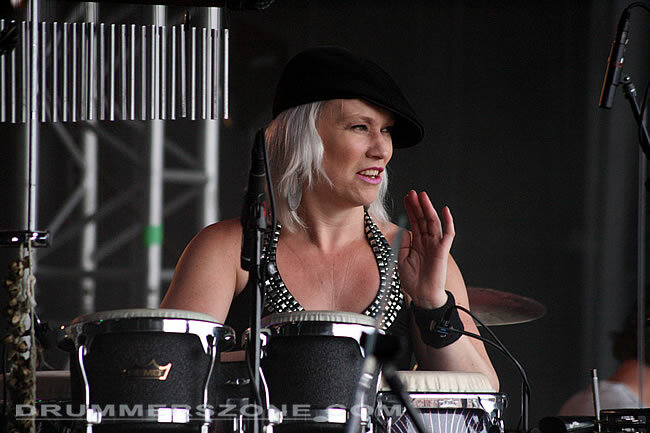 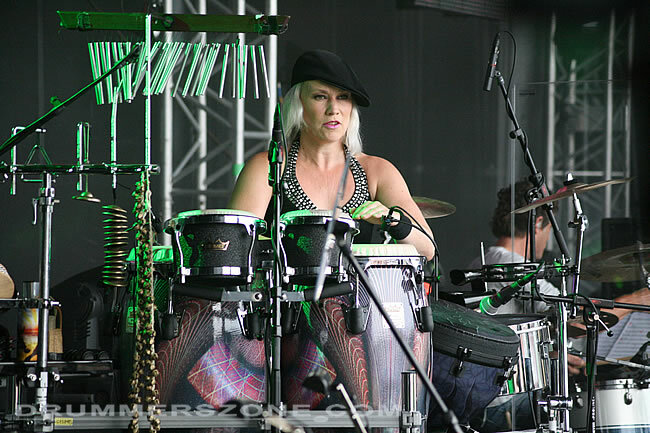 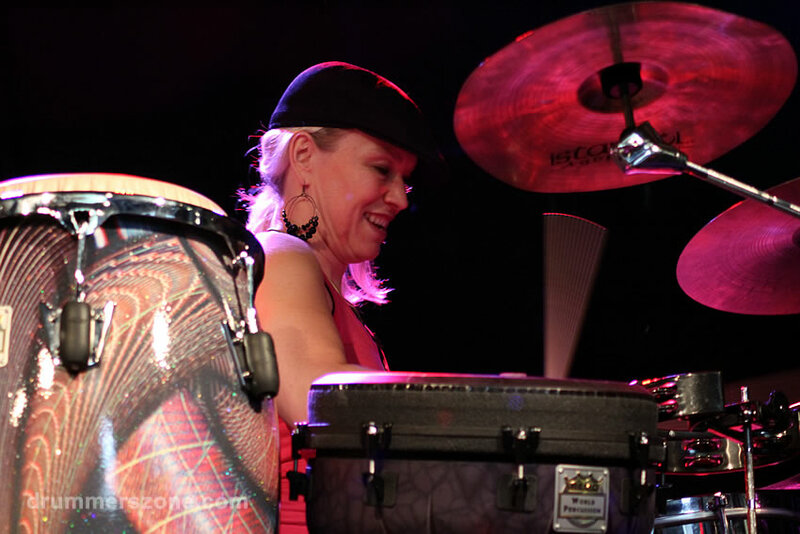 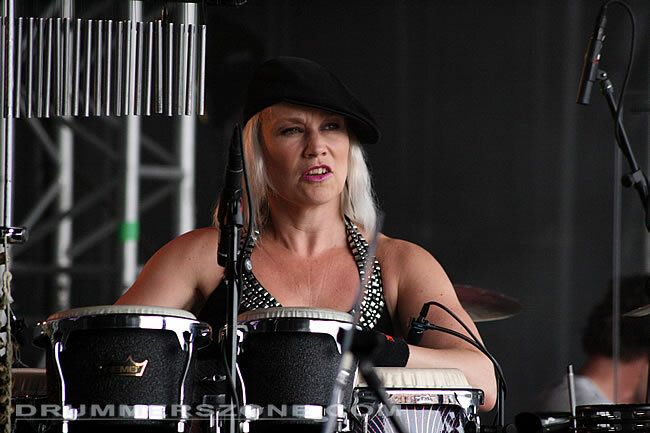 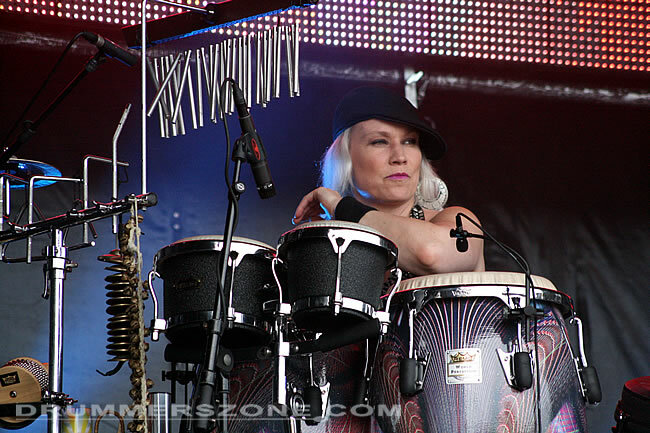 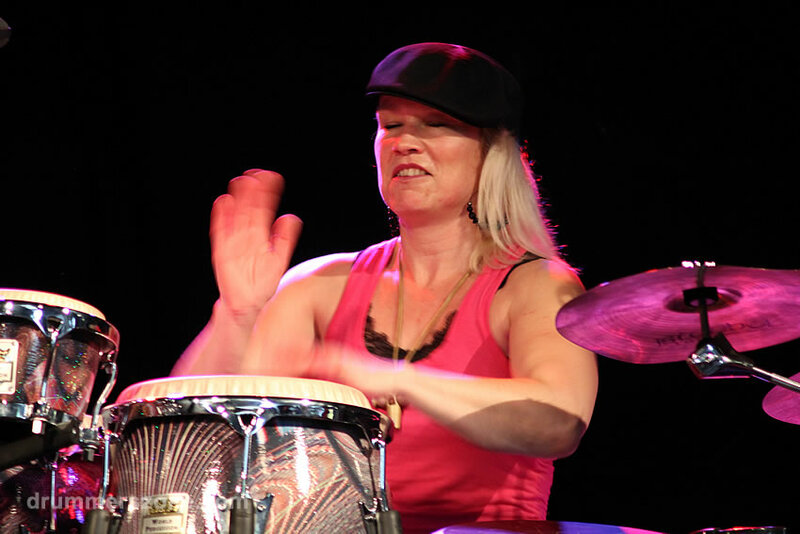 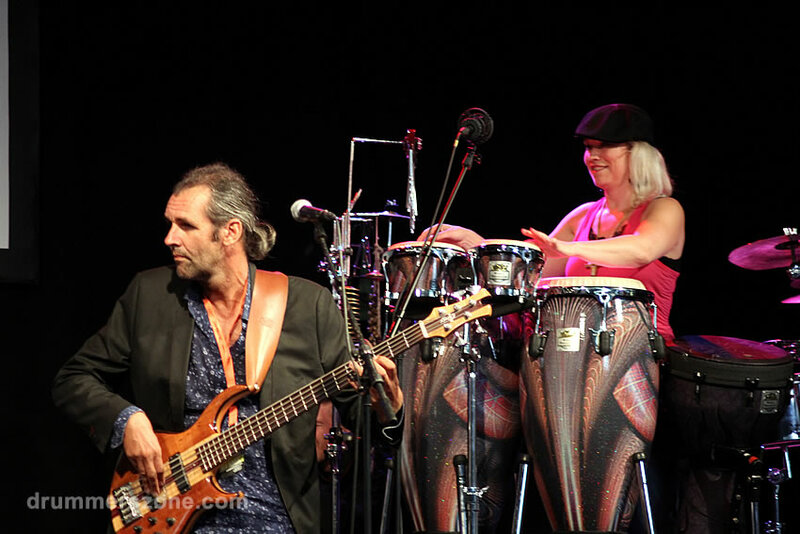 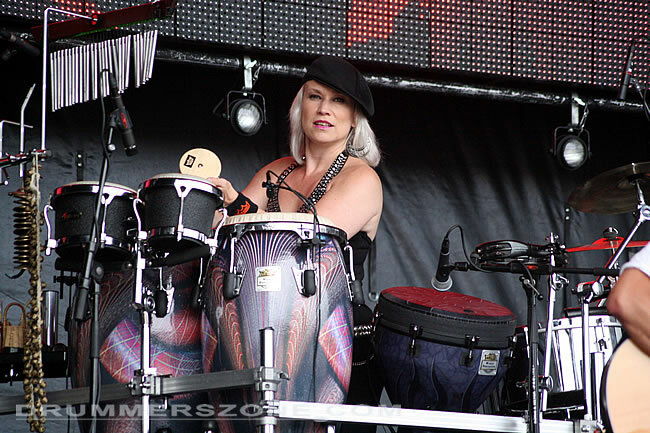 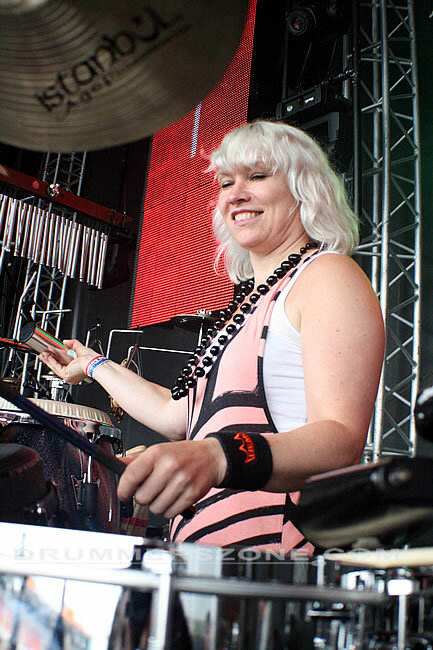 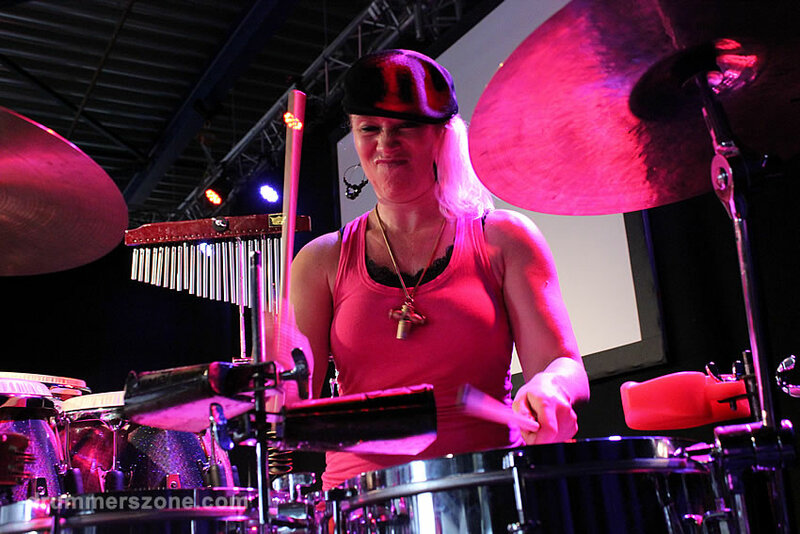 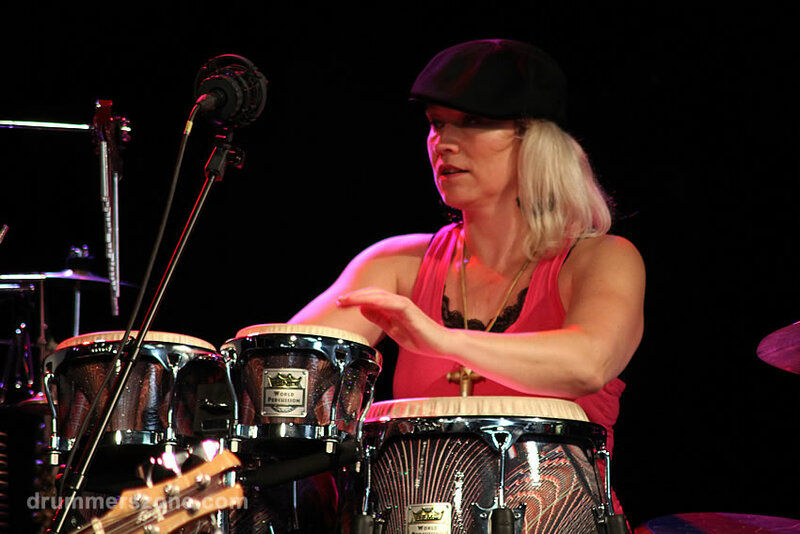 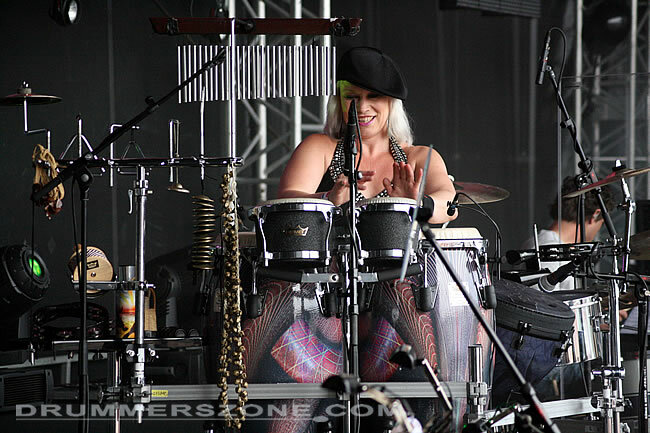 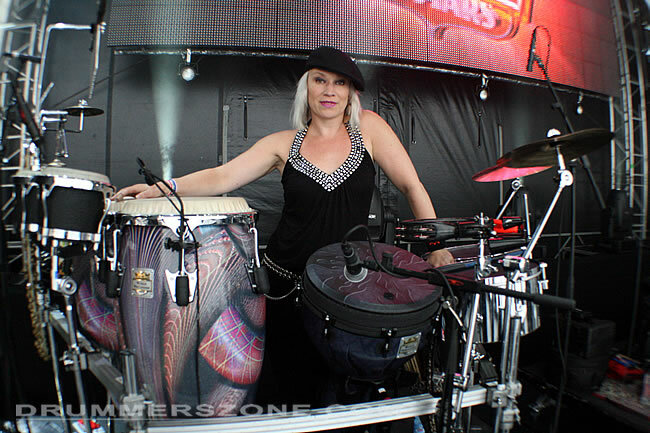 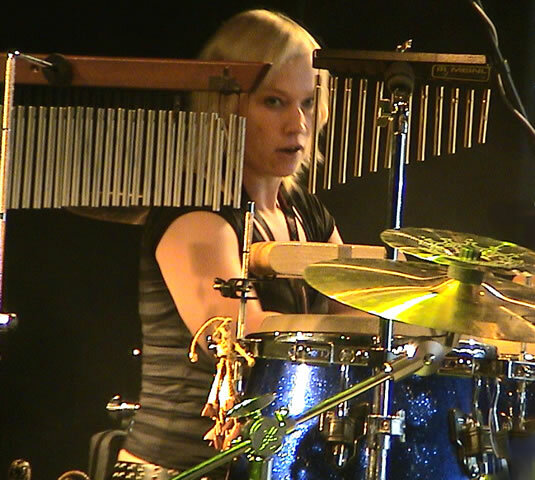 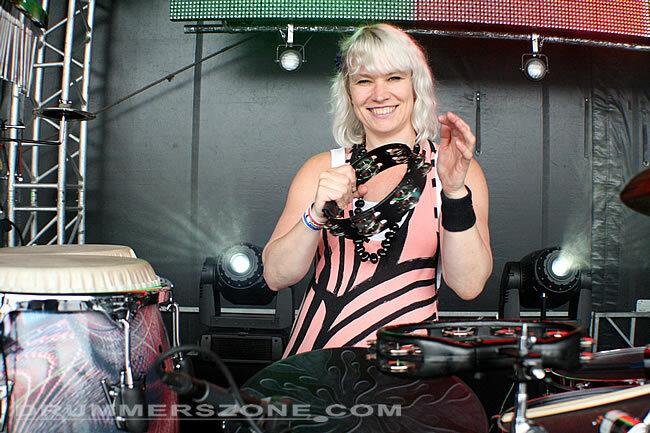 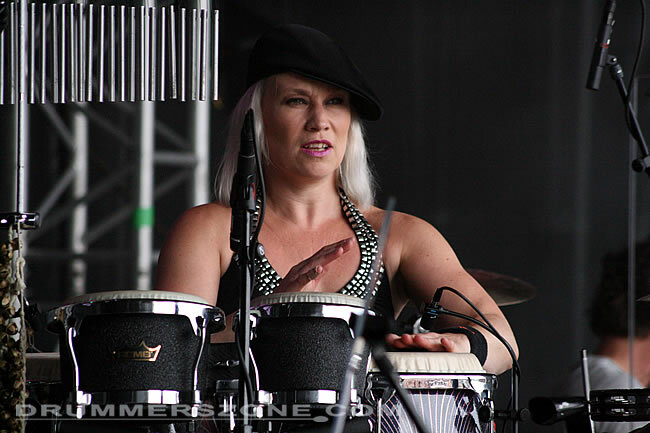 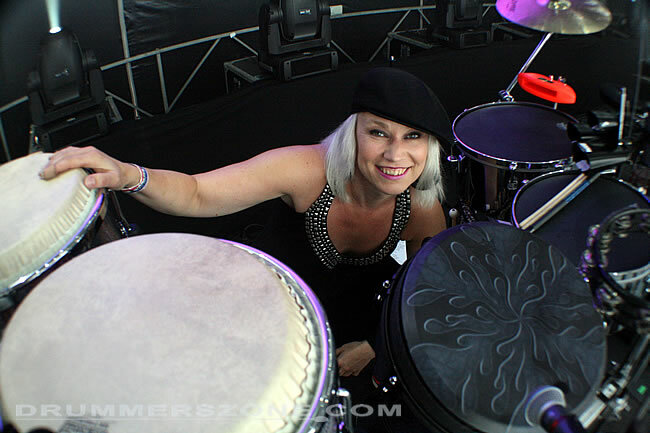 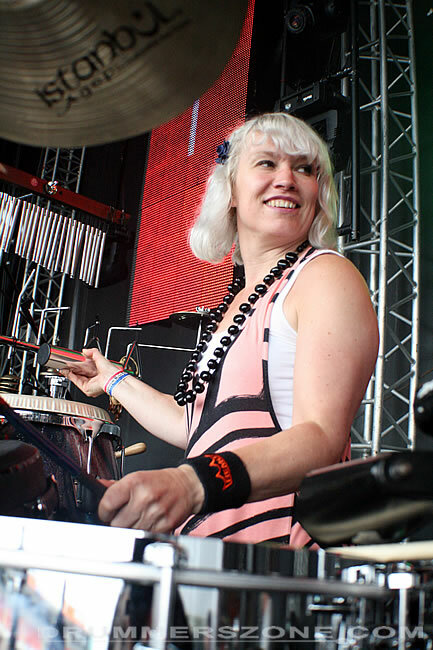 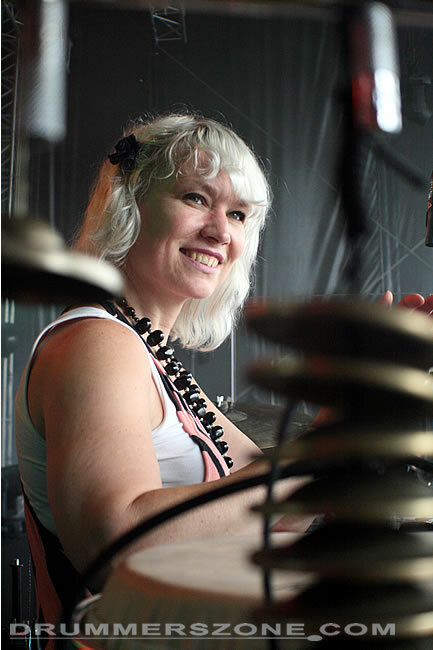 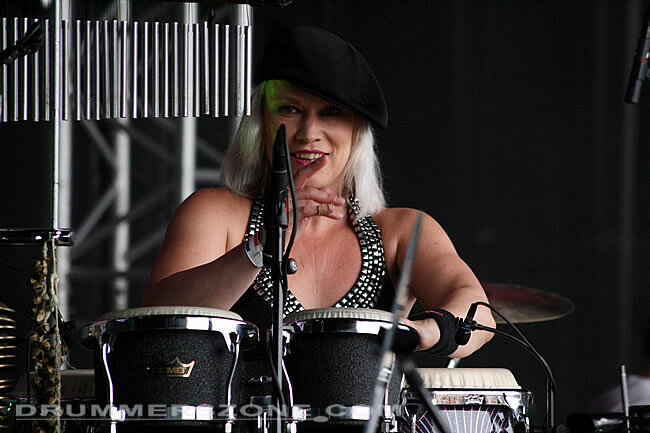 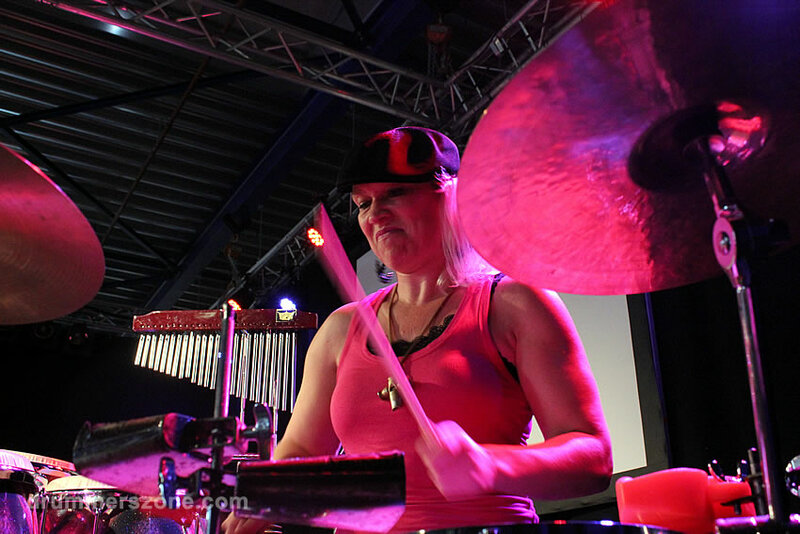 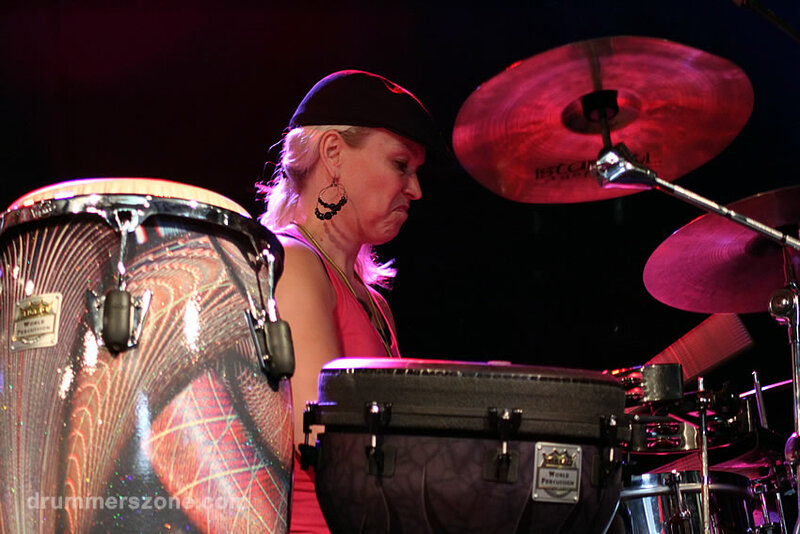 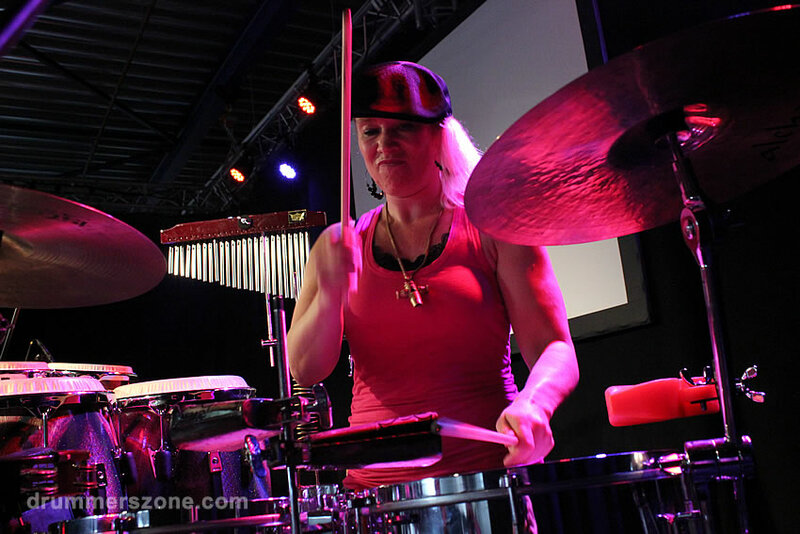 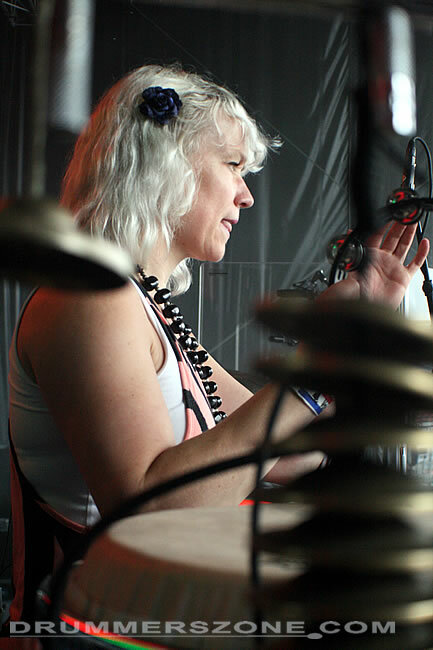 Femke Krone performing with the Enrique Tarde Group at the Adams Drumworld festival, September 8, 2013. 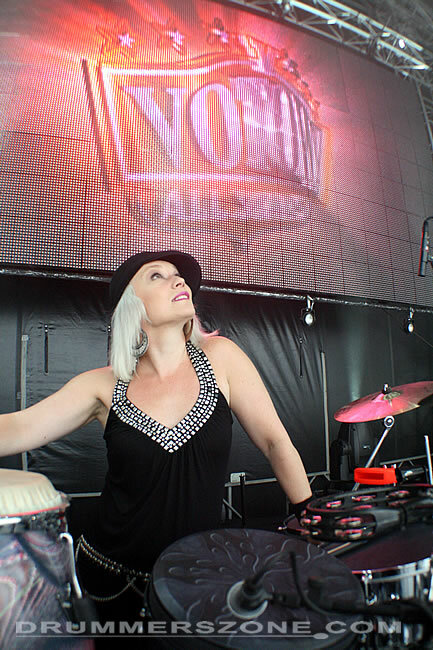 Festival day with The Votown Allstars, an annual support festival for Dutch Soccer Club Volendam, with performances of Jan Smit, 3Js and Nick & Simon. 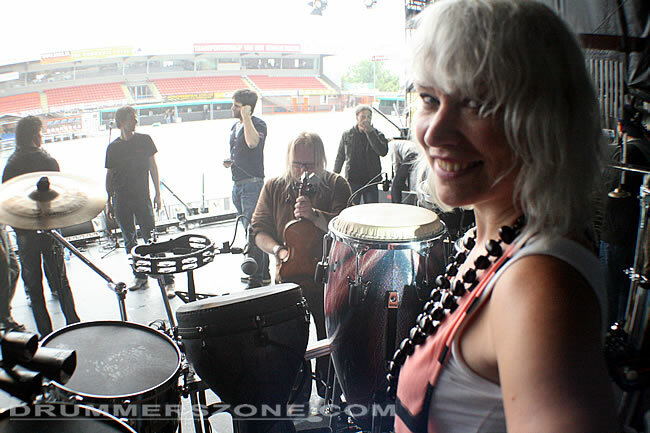 Also performing this day: Racoon, Tim Douwsma and Monique Smit. 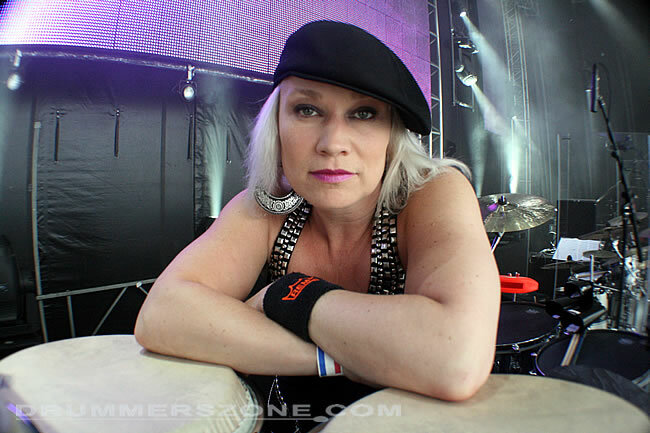 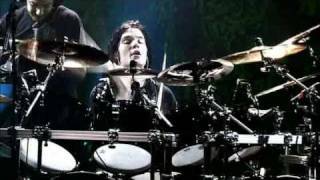 Drummer X has a name! 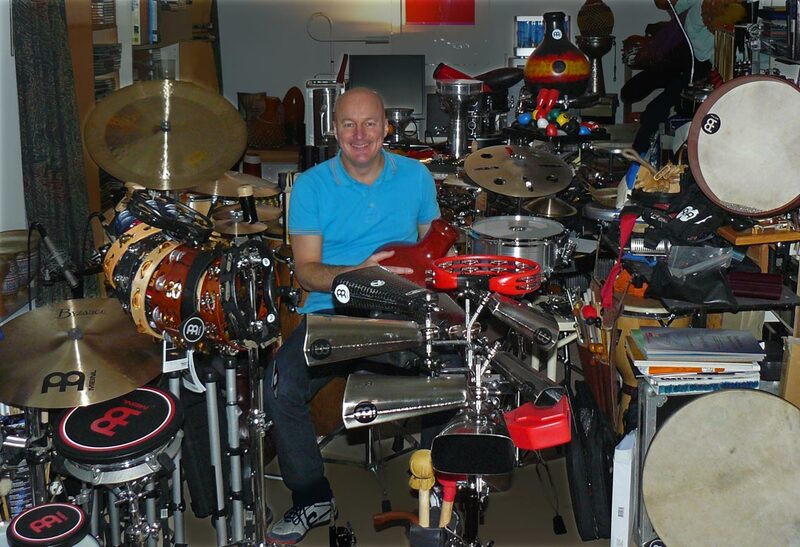 On my fourth birthday my parents gave me my first drum kit. 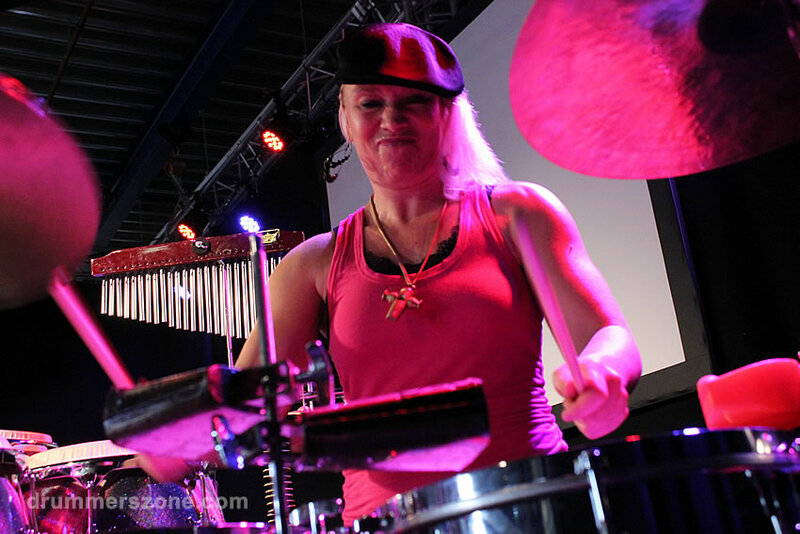 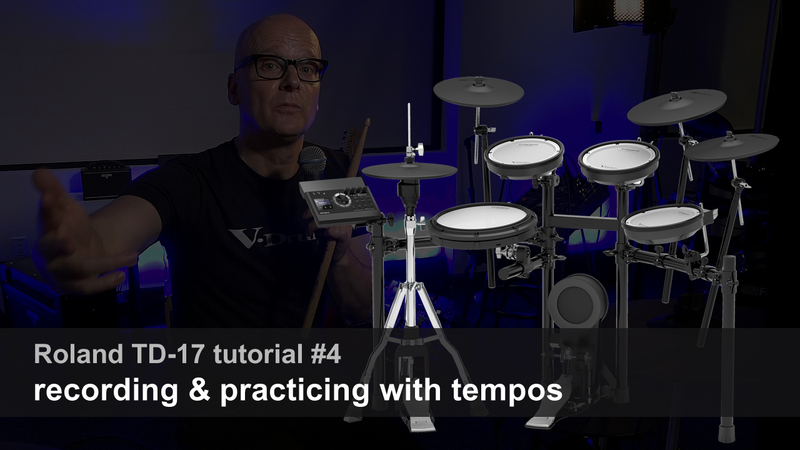 I was trilled!In High school I was still fascinated with drumming, but because the schoolband at the time had a drummer already, I was forced to play other percussion instruments. 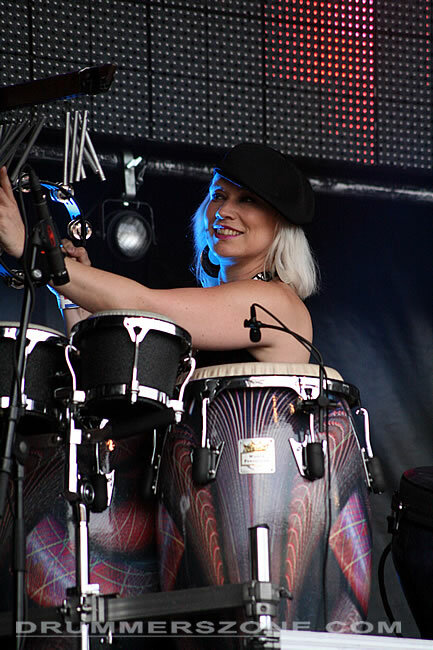 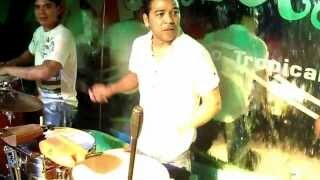 It turned out I really liked the congas, especially the freedom I felt while playing in that upright position really got me going. 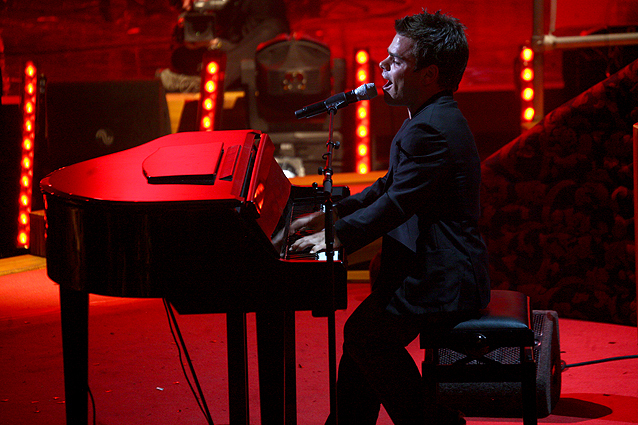 Not only the freedom of movement while playing, but also the fact that you can sing at the same time really appealed to me. 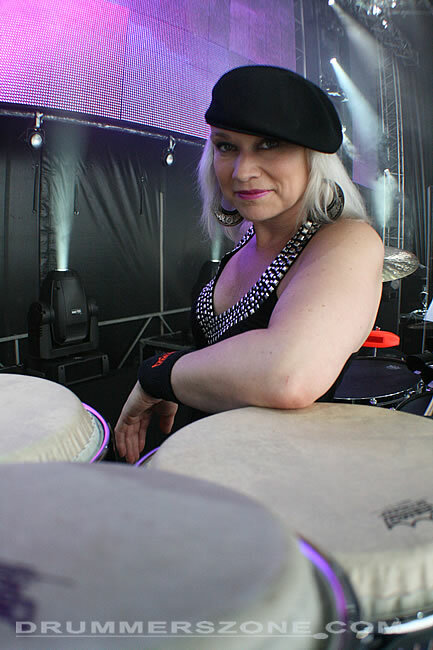 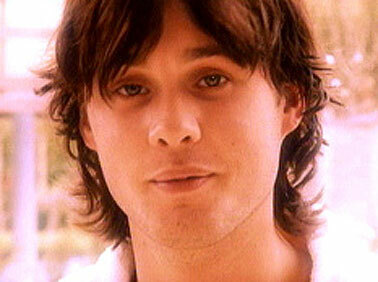 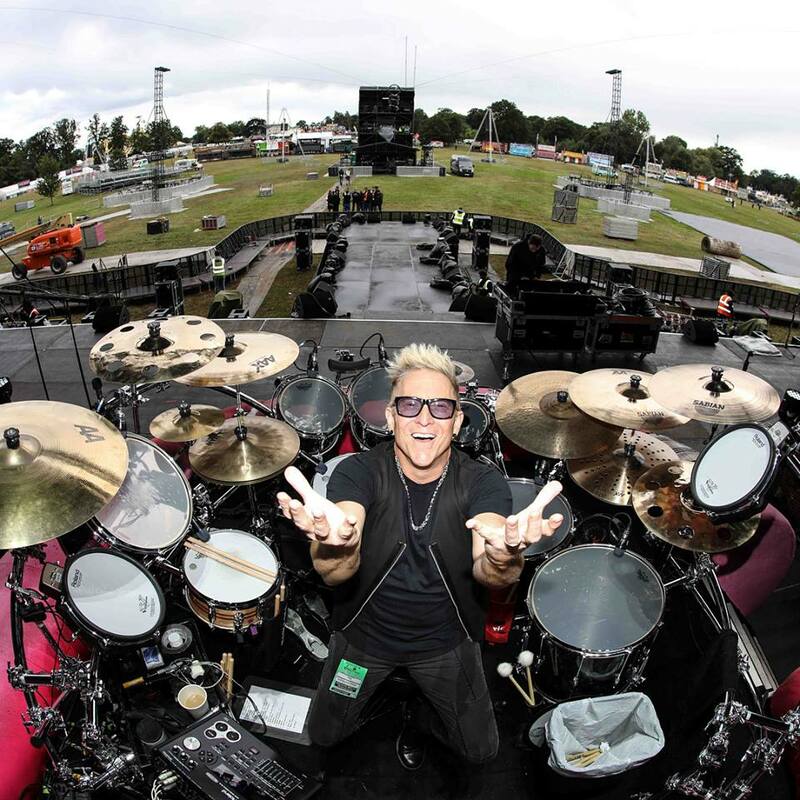 All in all, I started playing in a rather late stadium, even though I was always involved in music, singing and dancing. 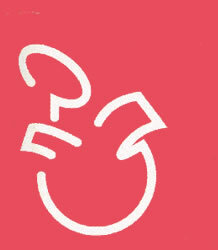 Actually, my mother is a dancer, so I grew up within that world. 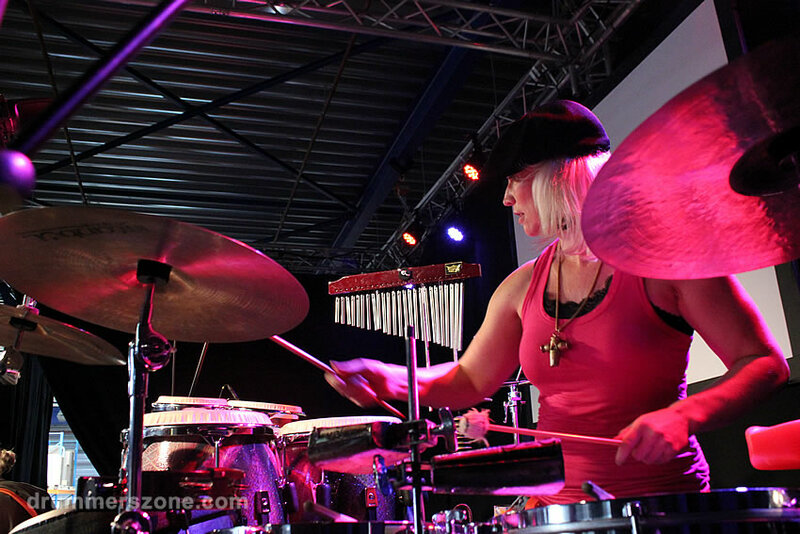 I took lessons and attended workshops with several music teachers,went to a lot of jamsessions and, of course, listened intensely to and followed my, soon to be, colleague percussionists all around. 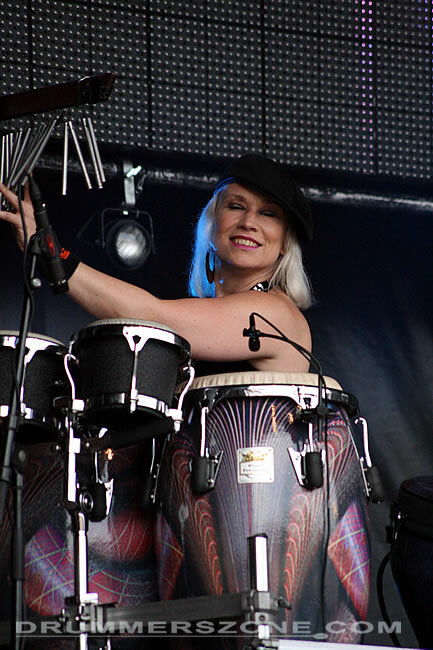 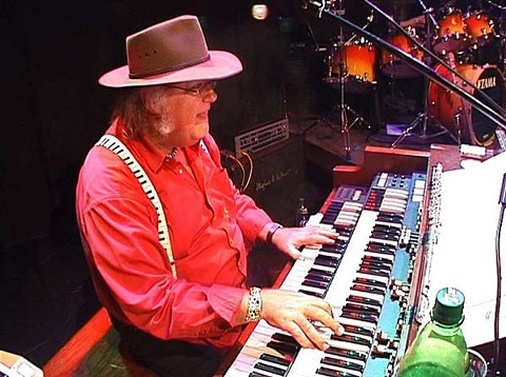 In the beginning of my career I played in a lot of different bands, through which I've learned and encountered many different styles of music, such as pop, funk, soul, rock, latin and world music. 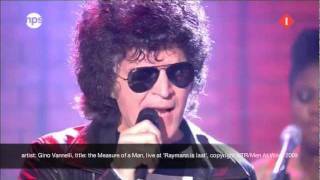 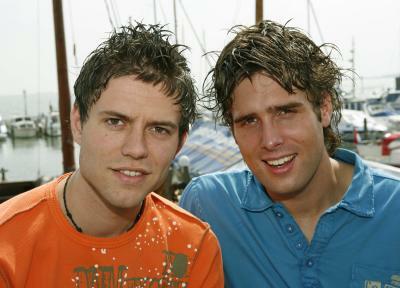 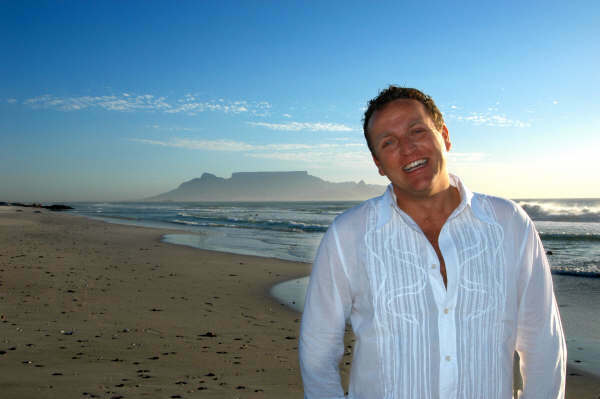 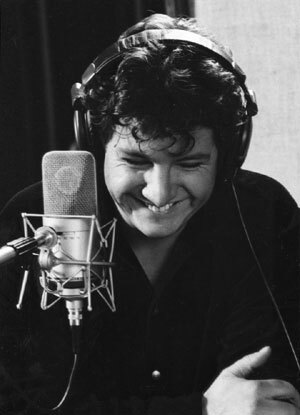 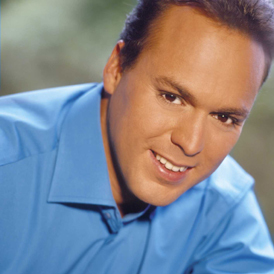 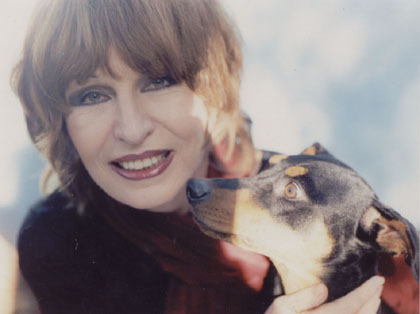 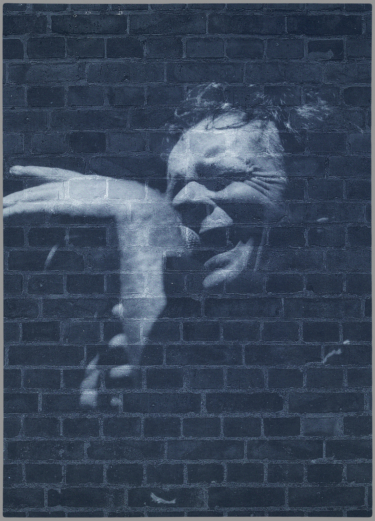 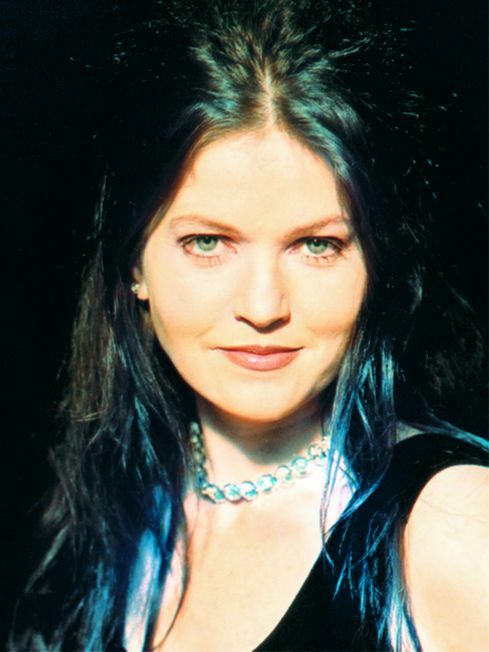 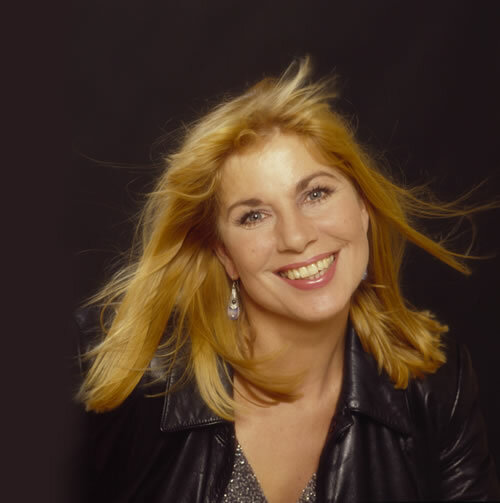 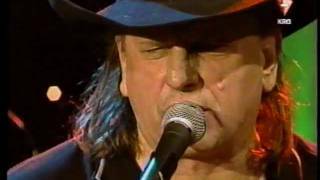 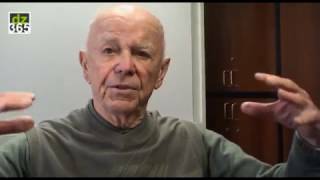 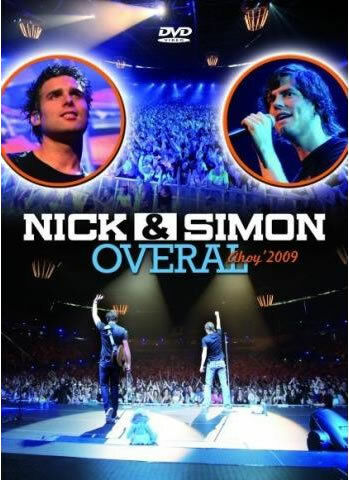 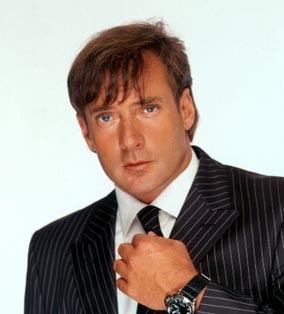 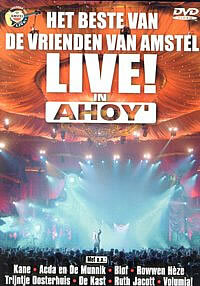 One of my first big shows was a theatre tour with Dutch singer/performer Ren� Froger. 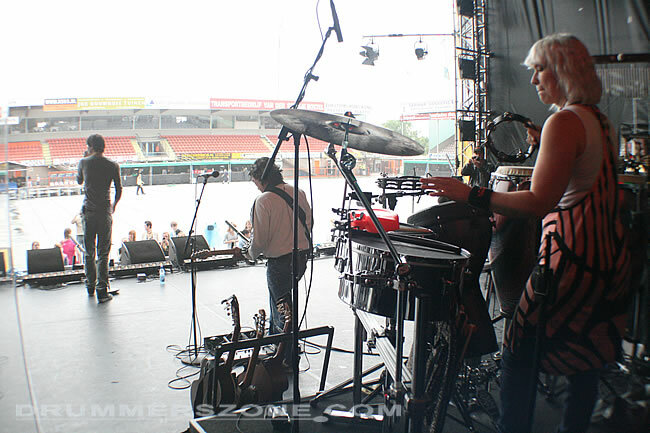 For two years we played at different venues and in all the biggest theaters of Holland, such as the Ahoy' in Rotterdam and on the 60th anniversary of the Feijenoord soccer club stadium "De Kuip" in front of a big crowd. 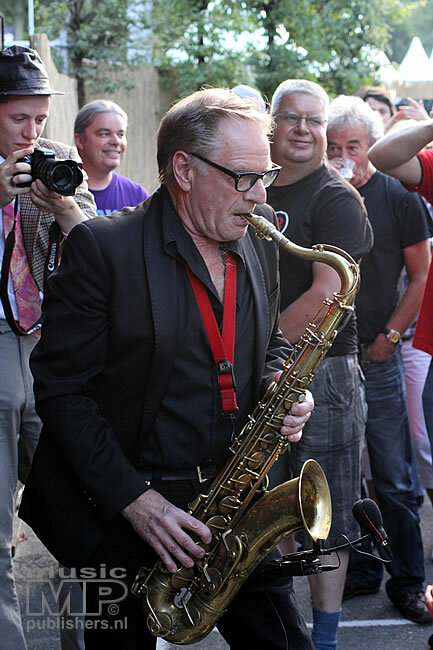 Then another celebrity came along: Frans Bauer, with whom I played ten huge shows in the Ahoy stadium. 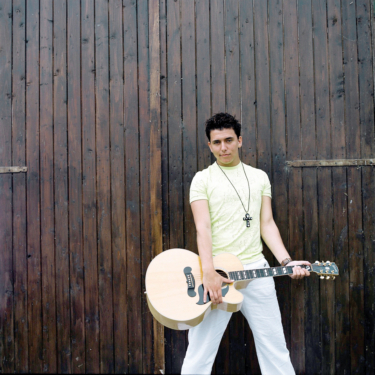 Successively, I was asked for several big shows with the band K-Otic, a group of singers that spawned from the TV show Starmaker. 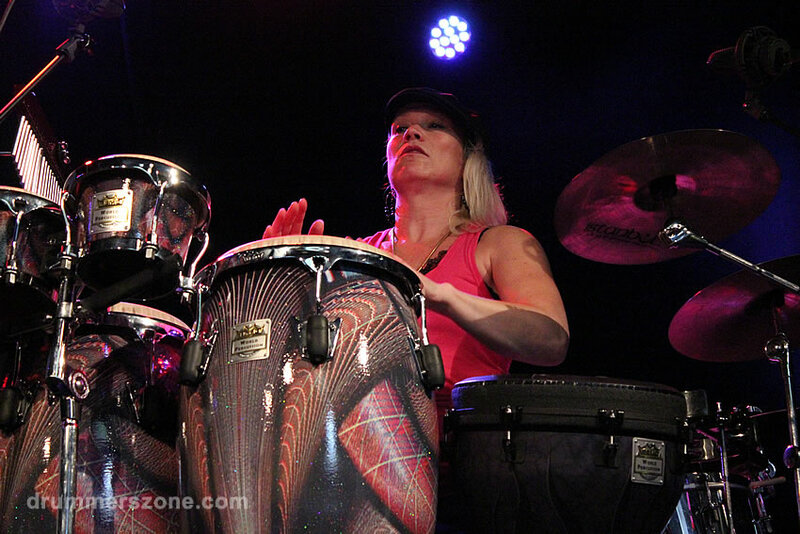 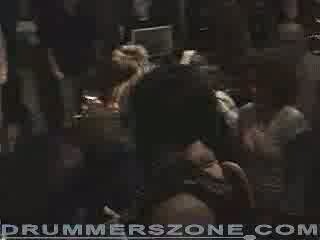 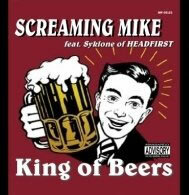 We performed at the Heineken Music Hall in Amsterdam and did a club tour. 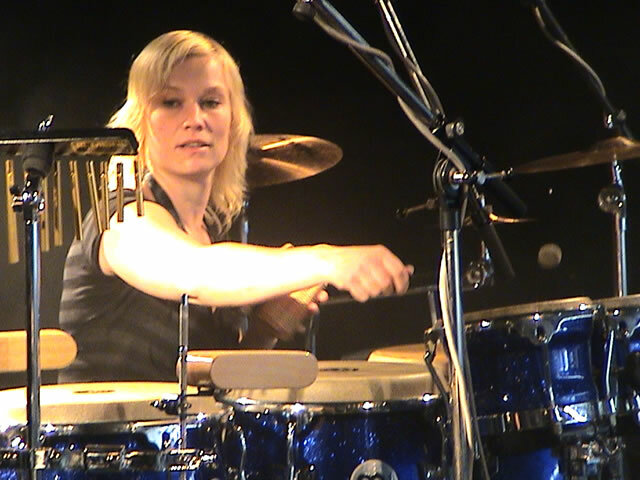 Respectively, I toured the Dutch theaters with female singer Ruth Jacott. 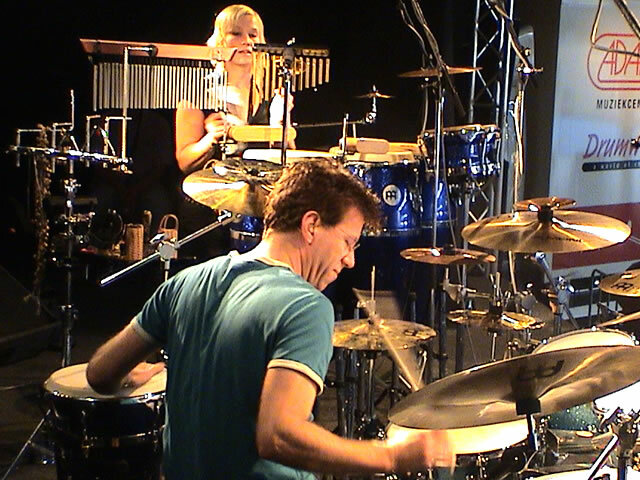 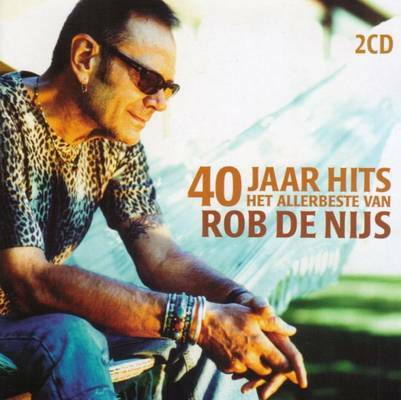 Most recently, I've worked with Rob de Nijs, a two year tour along all the big theaters in Holland and Belgium. 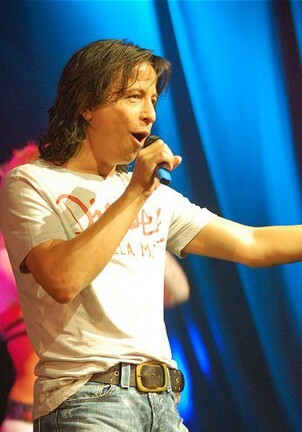 In the beginning of 2004, I've accompanied the candidates during the live TV shows of the world famous talent program Idols. 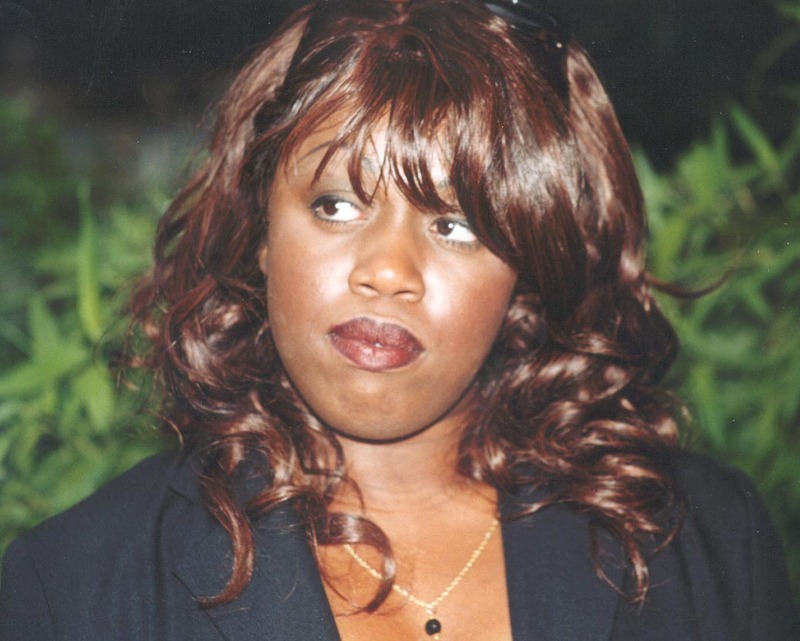 Veeres ("Venus"), Gwen Dickey ("Rose Royce") I also worked with the all female band Too Hot To Handle. 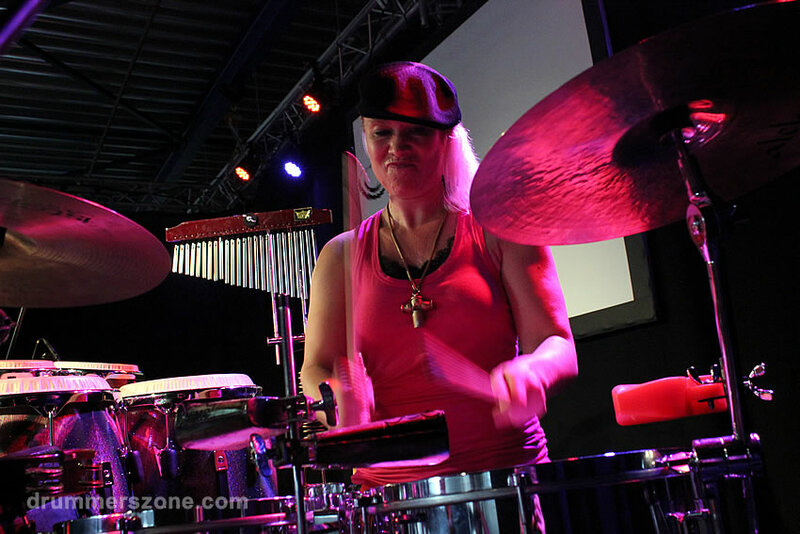 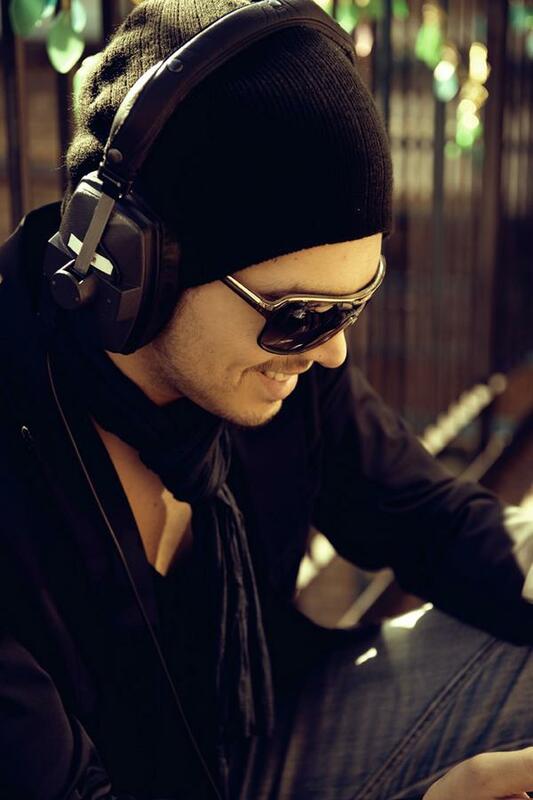 I perform at numerous events through Holland, as well as in different European countrys like Belgium, France, Spain, Switzerland, Germany and Italy. 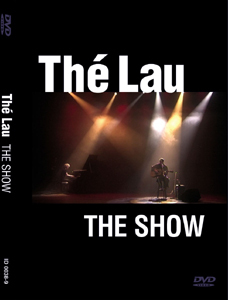 With the dutch singer Th� Lau I did a mini concert for TMF Brussels. 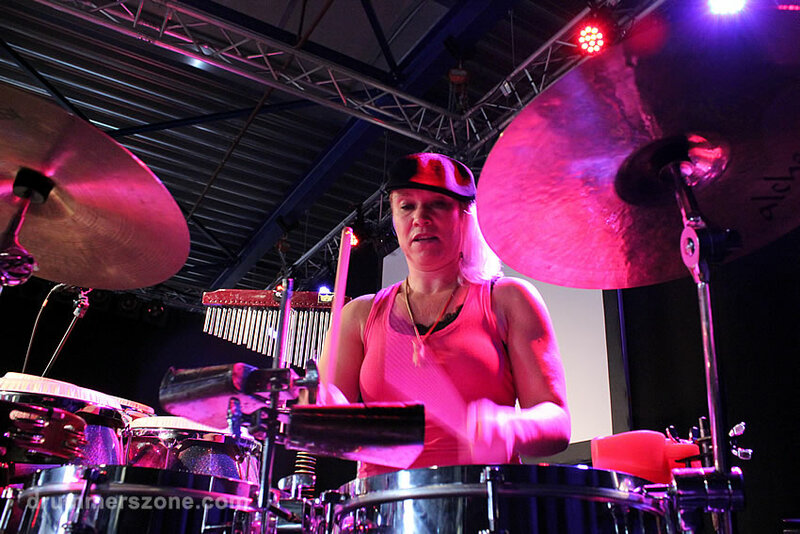 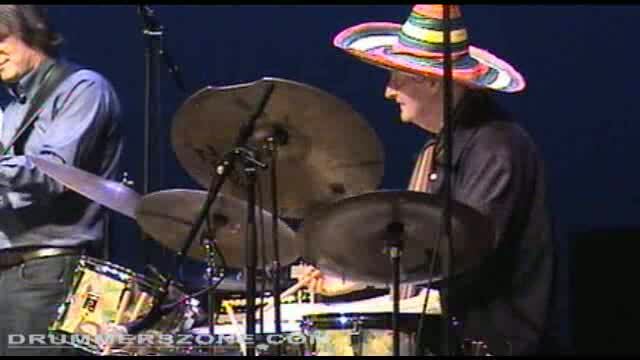 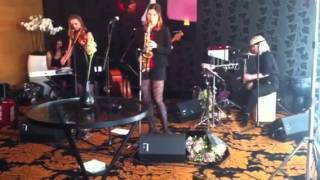 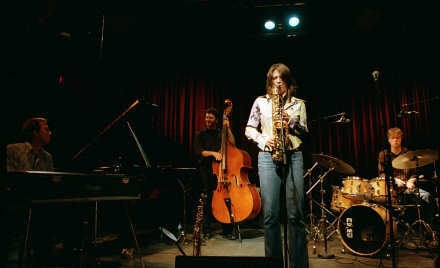 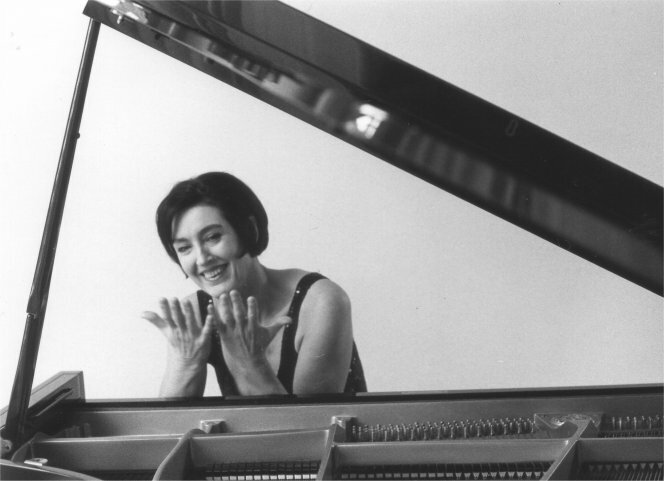 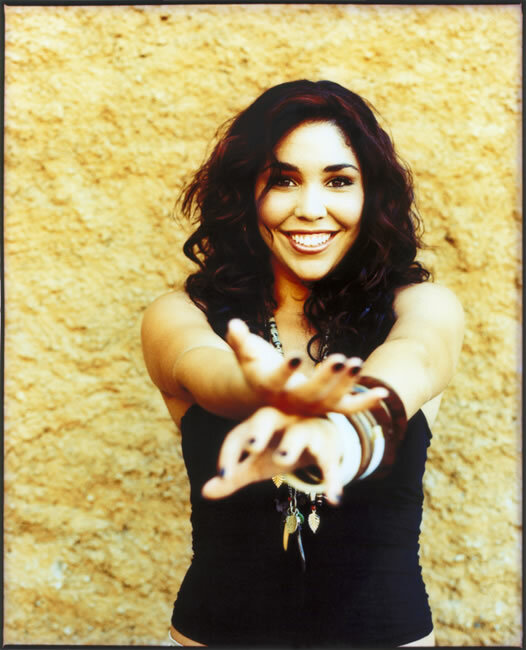 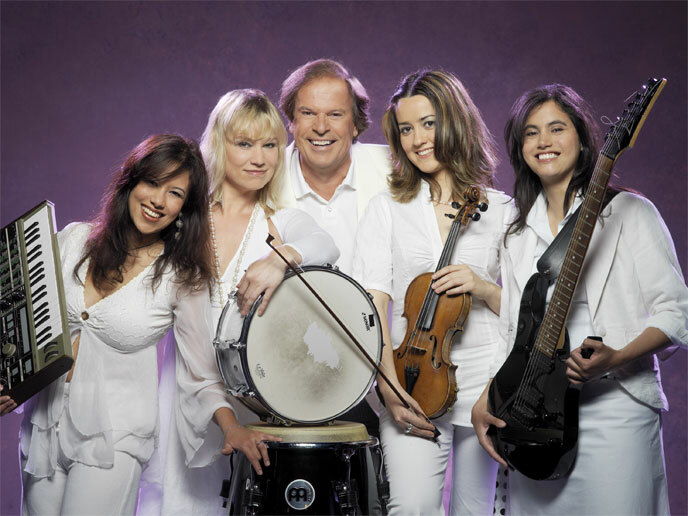 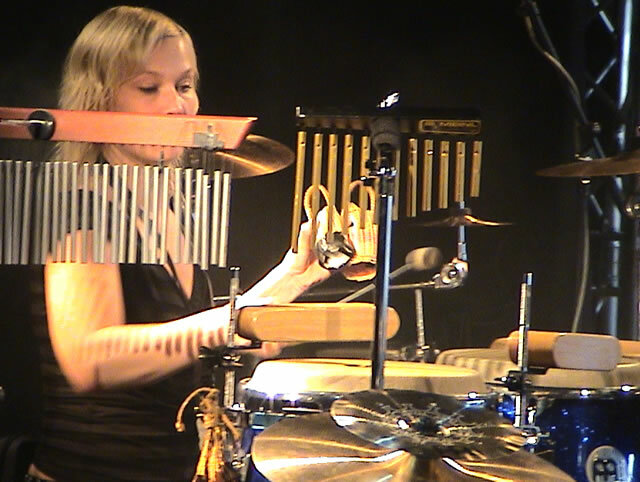 Occasionally, I work with jazz pianist Heleen Schutteva�r, Trio Breezin, and I play drums in the openings act Tisento. 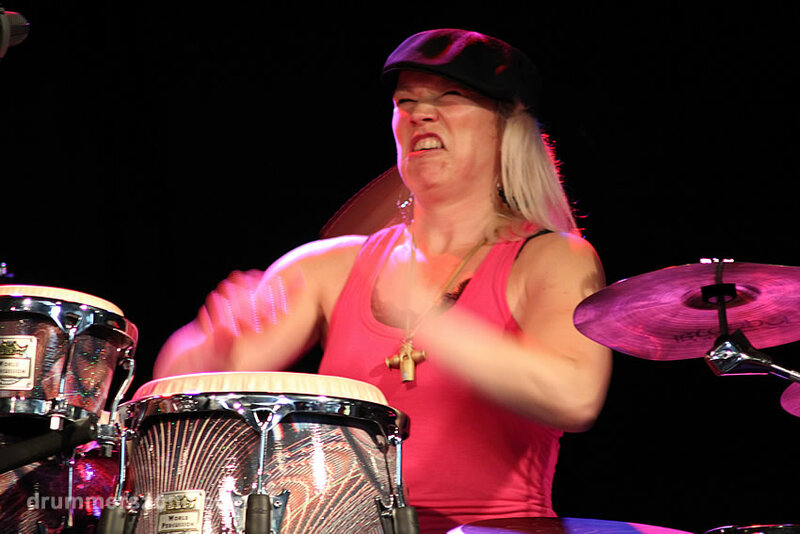 I play as guest musician on a regular basis. 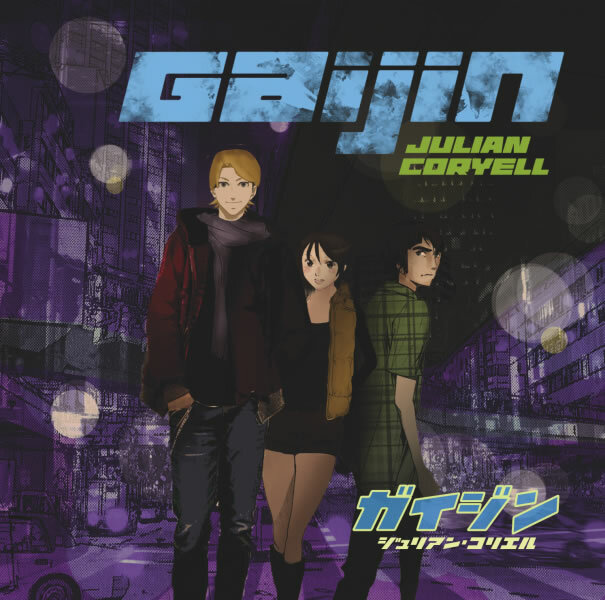 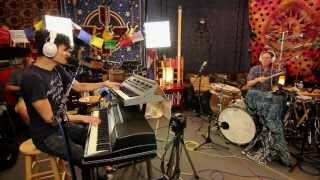 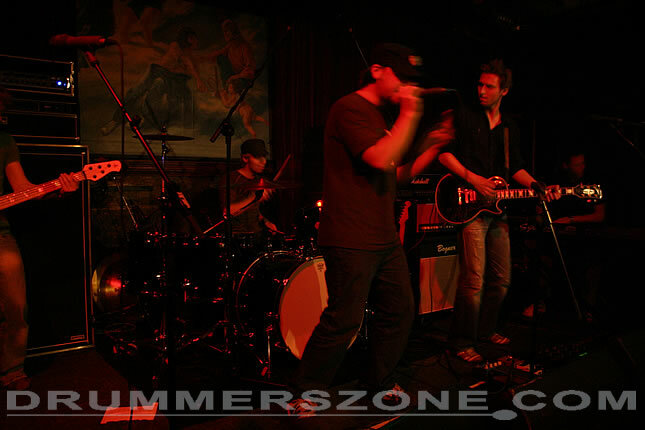 Lately, I preformed in the band Greenlight Express, accompanying the singer Leo Nardell. 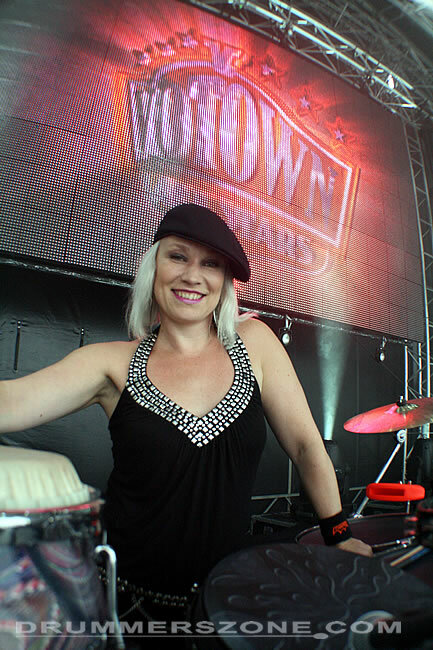 Furthermore, I would like to mention my collaboration with the Woman at Work project; fifteen woman entertaining at big business events all over Europe. 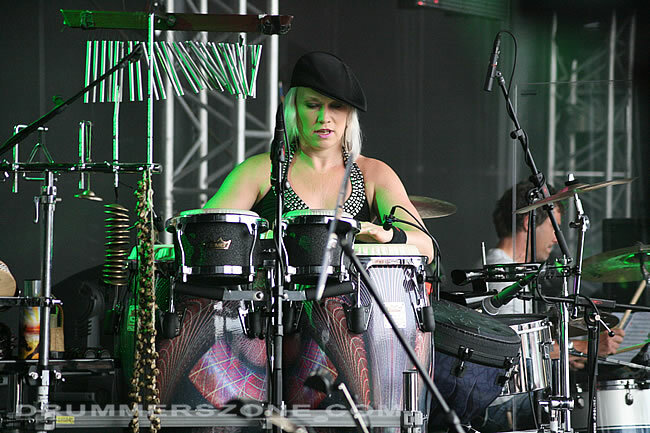 Besides percussion I play the drums, among others with the formation of Blue Vibes and Mae Brown. 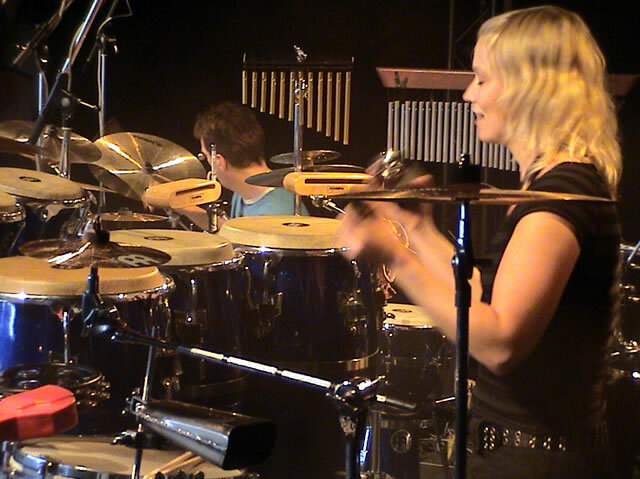 Now and then I arrange school concerts together with the English guitar player Phil Mills, and we formed a techno act called Pulse. 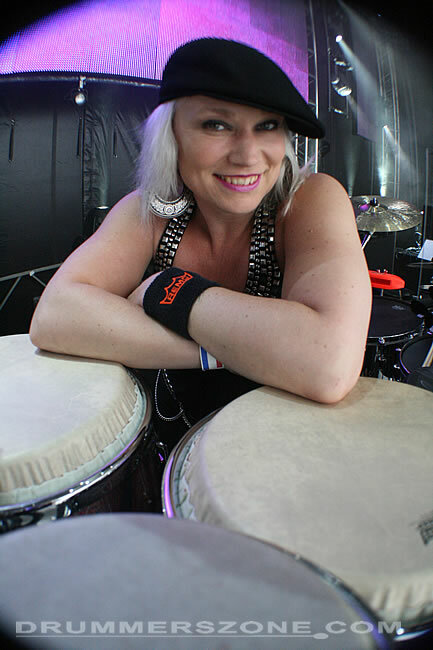 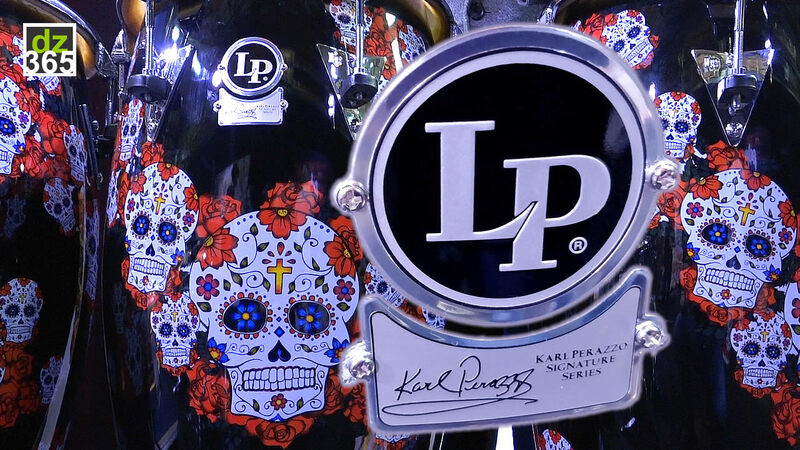 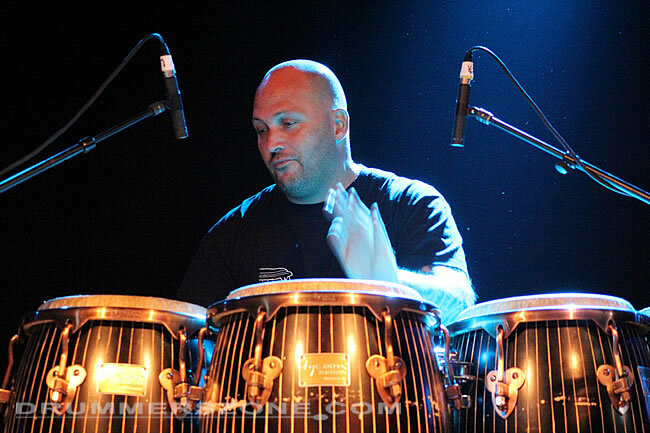 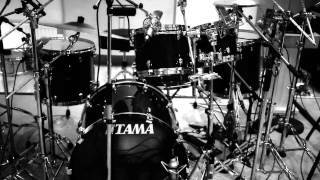 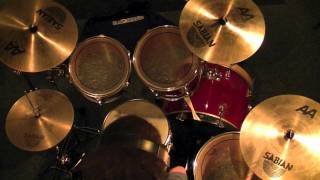 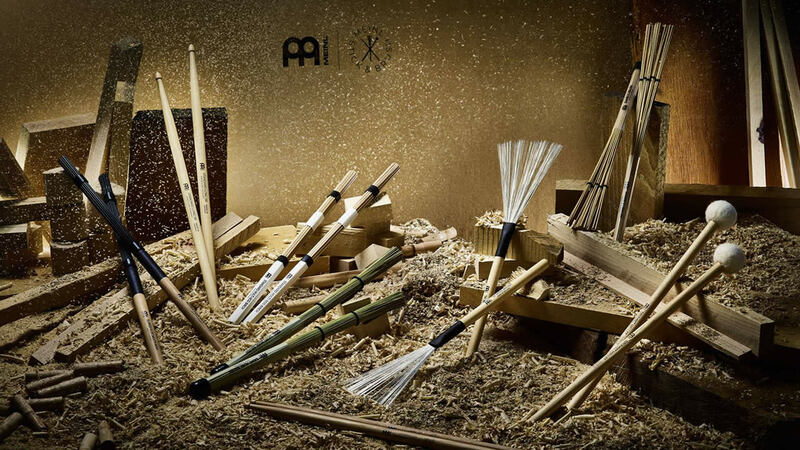 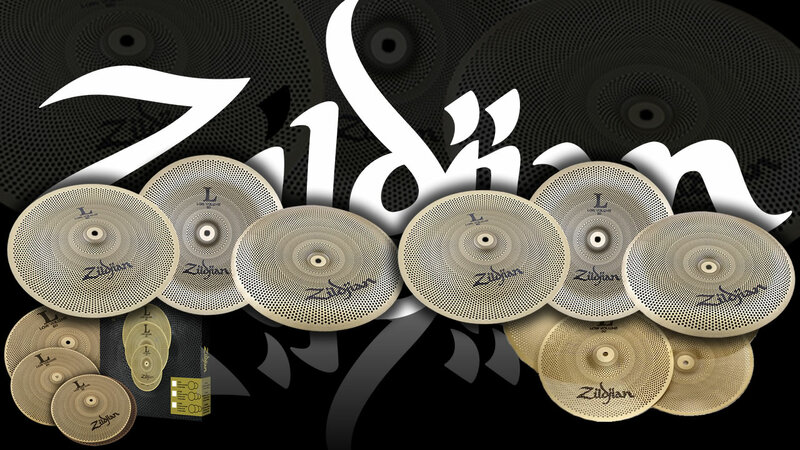 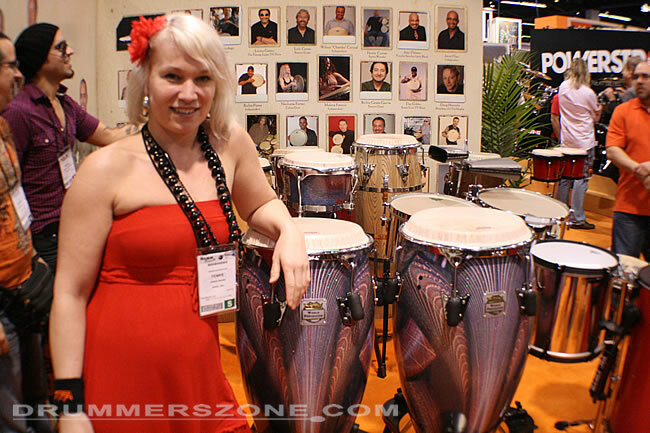 Meinl Percussion is the percussion brand with which I've worked for almost seven years now. 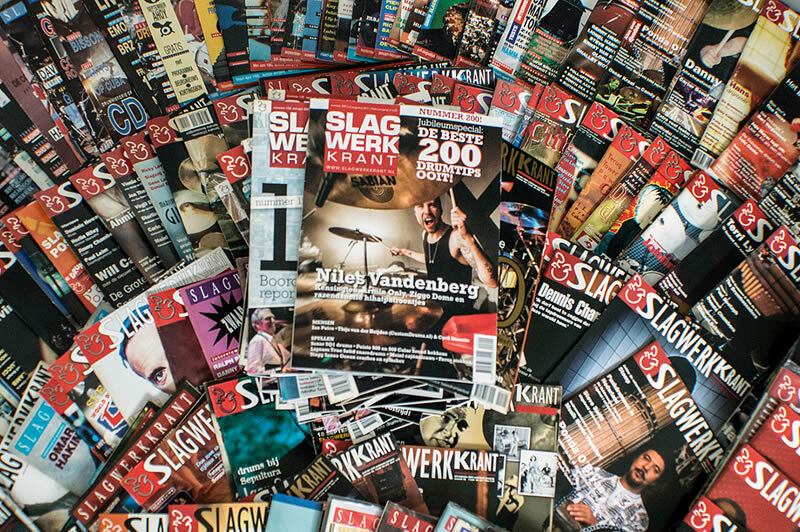 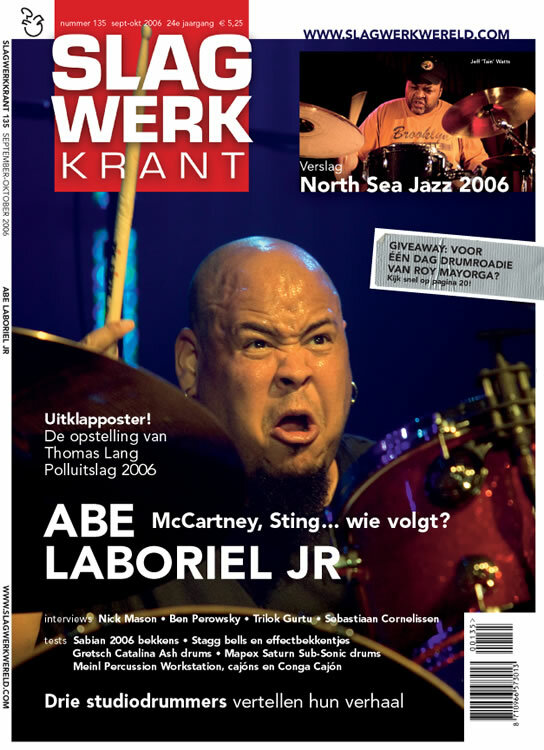 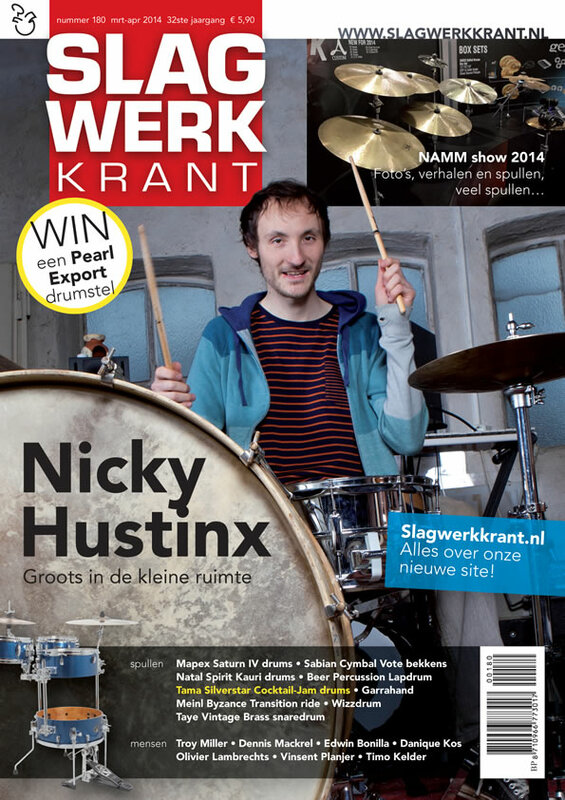 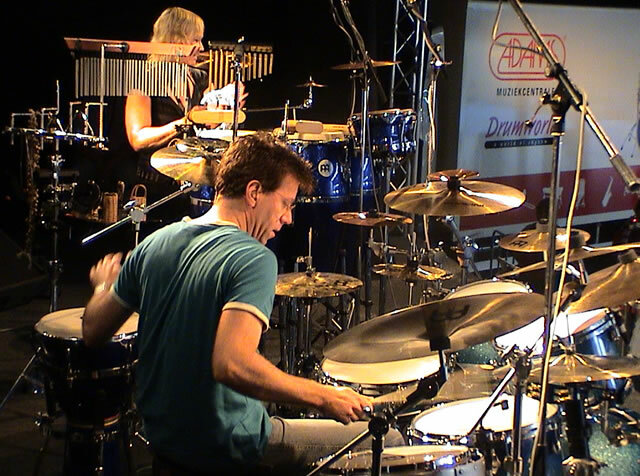 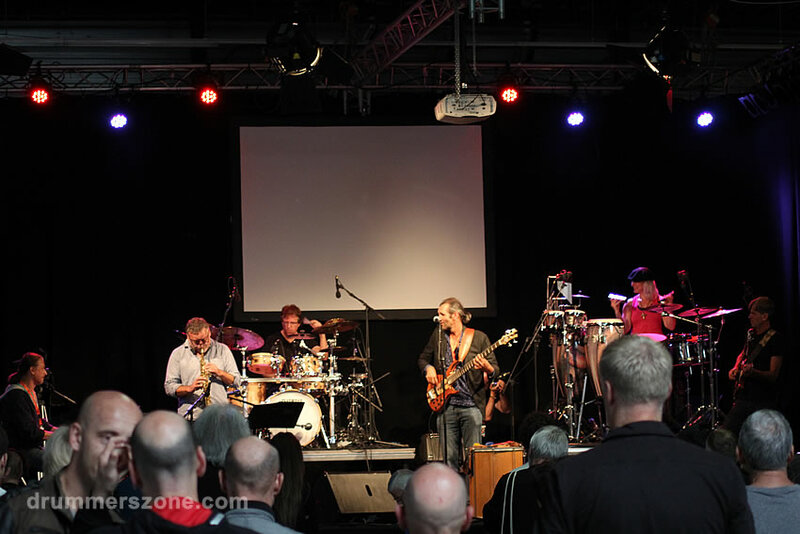 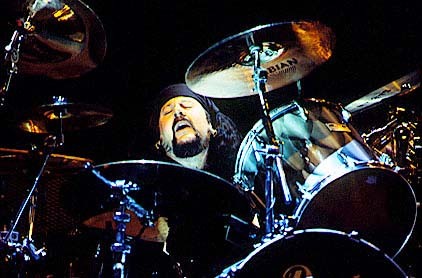 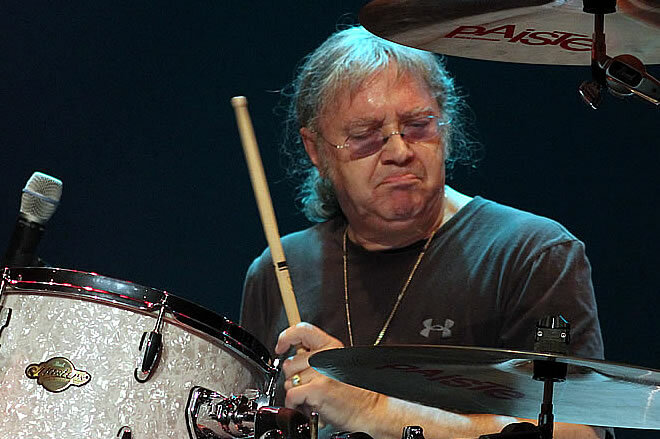 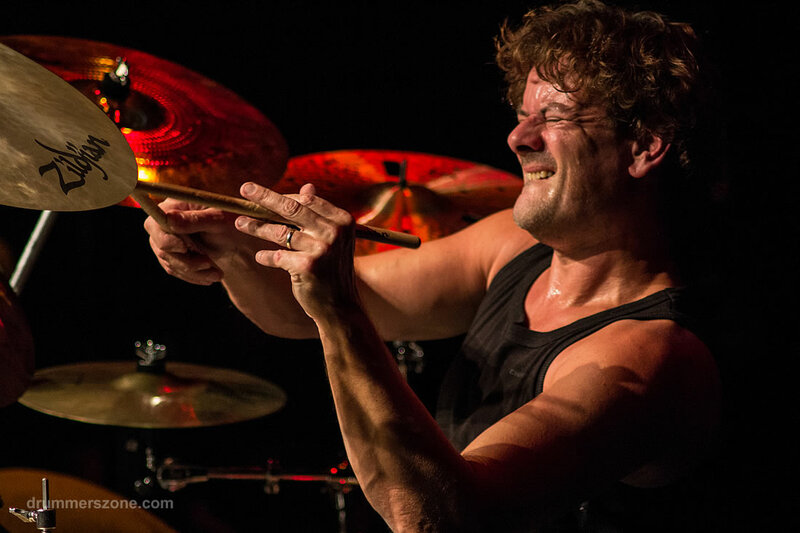 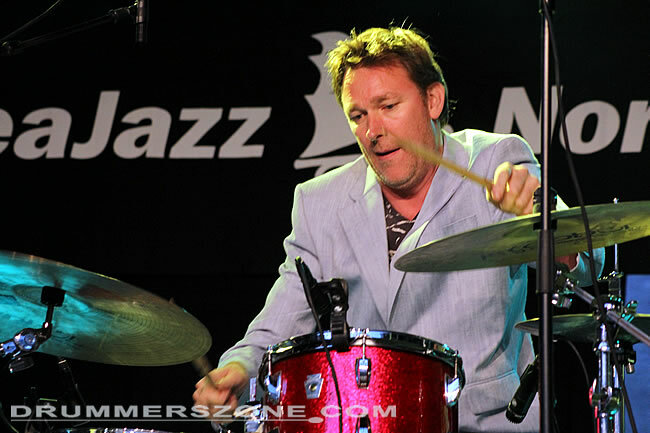 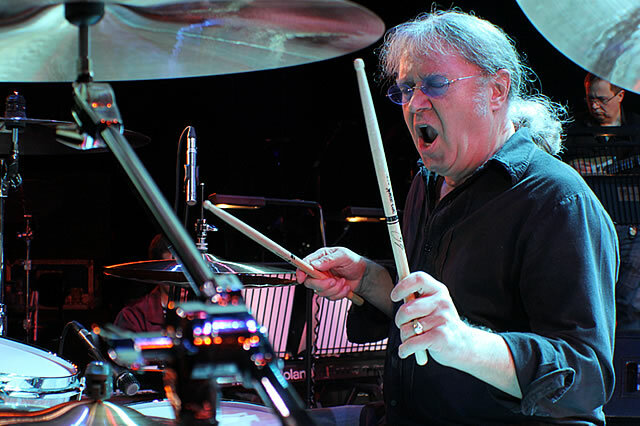 In collaboration with drummer Ron van Stratum I've done several clinics in the Benelux. 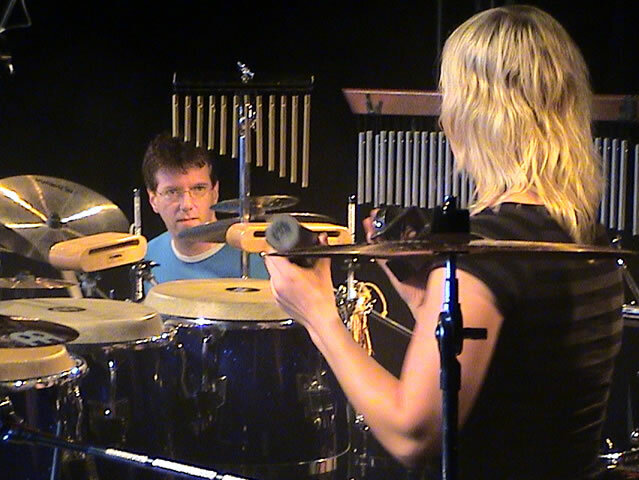 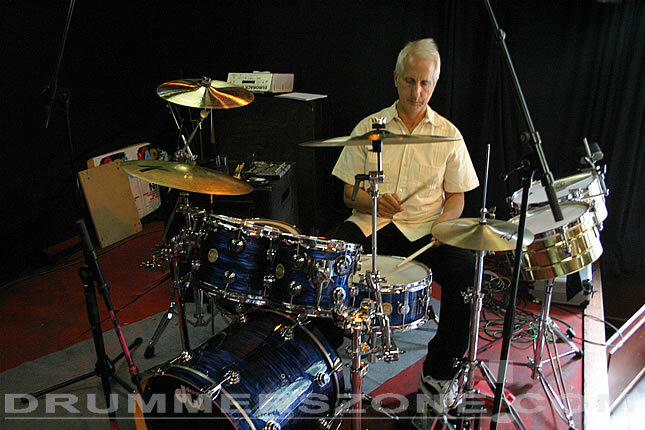 Most recently, I've practised a clinic with Mark Eshuis, drummer of Margriet Eshuis (not related). 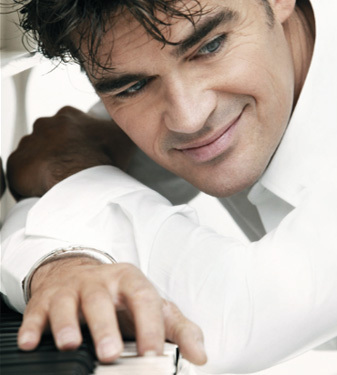 The first musical I did was The last 5 years (Jason Robert Brown). 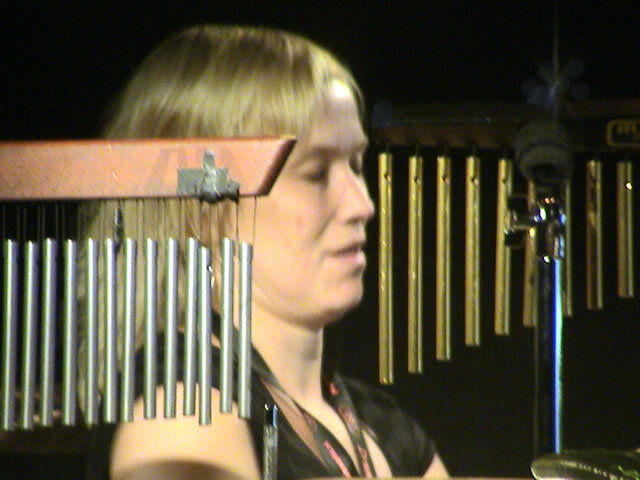 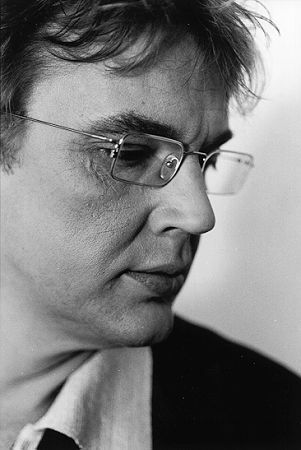 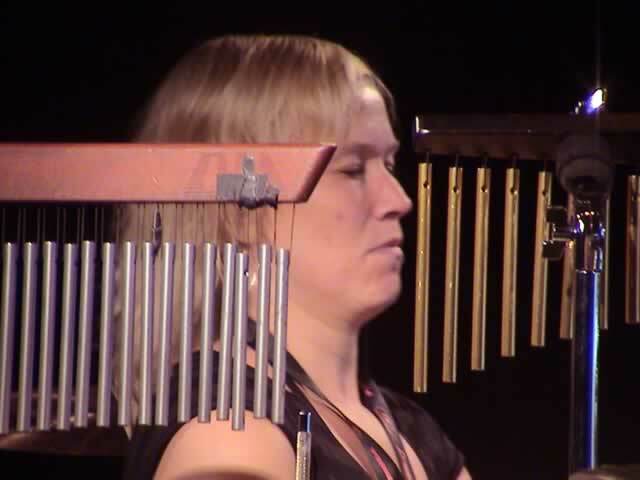 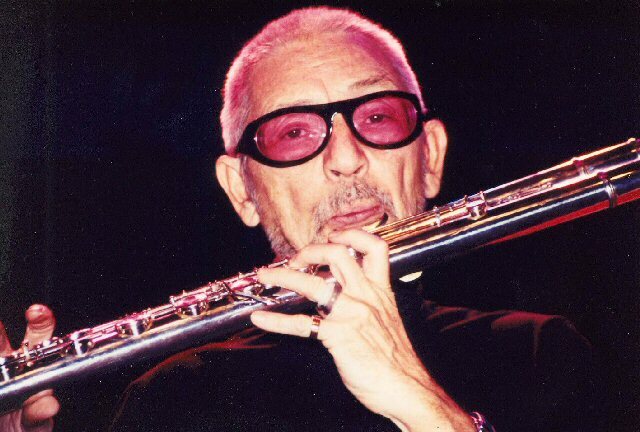 In 2004 I did a concert with Dutch flutist/composer/producer Chris Hinze.